Tomorrow is the first day of September, and with it comes all those traditional end-of-summer events, including tomato canning season (at least here in the mid-Atlantic where I live). Because the yearly tomato glut is finally beginning to arrive, I’ve been getting a number of questions about how to safely can tomatoes. The most frequent question I get is from people wondering if they can boiling water bath process their favorite spaghetti sauce recipe. You know, the kind that has plenty of garlic, onions, basil, olive oil and sometimes even a few peppers. Sadly, I always end up delivering disappointing news. You really can’t just can your family recipe. Anything canned in a boiling water bath needs to be high acid (for the science minded types, this means that it has to have a pH of 4.5 or below). This is because botulism cannot grow in high acid environments. However, tomatoes are in the grey zone, typically having a pH right around 4.5. Because of this, tomatoes need to be acidified when canned, so that the acid levels are pushed into the safe zone and the pH becomes something lower than 4.5. That’s why my instructions (and all other good ones you’ll find) for canning whole tomatoes includes two tablespoons of bottled lemon juice per jar (you can also use citric acid if you prefer). When you make spaghetti sauce, one typically adds a slew of ingredients that, while delicious, lower the acid to seriously unsafe levels. Unless your family spaghetti sauce recipe contains several cups of red wine vinegar, it will be too low in acid to be canned in a boiling water bath. Most canning information will repeatedly remind you that it’s incredibly important to follow tested recipes. While I will occasionally play around a bit with jams and pickles (and I only do this because I know which aspects can’t be monkeyed with), even I never deviate when it comes to acidifying my tomatoes. I always follow the instructions in either the Ball Blue Book or So Easy to Preserve when I want to preserve tomato sauce, soup and salsas. The one caveat I have to offer is that if you have a pressure canner, you may be able to preserve your beloved sauce recipe (just so you know, any recipe that includes meat MUST be pressure canned). Pressure canners raise the internal temperature of your jars to temperatures in the neighborhood of 240 degrees, which is high enough to kill off any botulism spores that may exist in your food. However, you should still consult recipes that have been tested using a pressure canner to determine processing time and pressure. The good news here is that there are plenty of safe, tested tomato recipes that are designed for canning. Let’s hear about your favorites! Does it have to be lemon juice? Is adding an equivalent amount of vinegar ok? I canned a few jars of sauce using a Stocking Up recipe and used vinegar instead of lemon juice…now I am nervous. Winnie, vinegar does the same thing as lemon juice, so your sauce should be just fine. Sorry to scare you, I should have specifically called out vinegar as another acceptable acid. Actually, it is supposed to be double the amount of vinegar. Also vinegar can cause flavor changes. I haven’t canned tomato sauce, but I hope to do so if my tomatos ripen. We always can our tomatoes then use then as needed throughout the year. Canning tomatoes is easy, and goes fairly quickly, and once you have quarts and quarts of tomatoes canned and stored, you can grab a jar or two and make your favorite sauce, salsa, add to stews, soups, chili, and casseroles, plain quarts of tomatoes are so very versatile and so very good. No matter what we are canning we always follow the directions in the Ball Canning book. I’ve been wondering about a red enchilada sauce? Specially is the chemical that makes the chilies hot acidic? Do you have a favorite brand of bottled lemon juice that you use? I am assuming that you’re not talking about those plastic lemons with the green caps that you see in the produce section of the supermarkets. And, you prefer it (bottled) over juicing your own lemons at home, right? I’ve used lemon juice squeezed at home this year (my first forays into canning) with my sauce/butter/salsa… they’ll be okay? The recipe I used for canning cooked tomatoes was from Fine Cooking magazine, and called for citric acid. This worked well for me since we already had that on hand. Winnie, I had the same question! I’m about to can 10 pints of Ashley English’s Tomato Basil Sauce tonight(18 pounds of peeled, cored tomatoes sitting at home in the fridge) and her recipe calls for balsamic and lemon juice,which I worry would ruin the tomato flavor. I think I’ll use an equivalent amount of red wine vinegar instead. I absolutely love your blog, and am just getting into home canning. Your comment here on pH meters strikes me as odd, I have always been taught to use a pH meter to determine correct acidification and safety of foods. If this is not the proper method to determine a high acid food, what other options are out there that are more accurate? Thank you for everything that you have done here, you are running a beautiful site! I’m one of those ‘science-minded’ folks she mentioned, so I’ll explain it to the best of my understanding. Using a pH meter to create/alter recipes has 2 basic problems. The first is that if you’re dealing with a chunky recipe, the pH of each of the ingredients can vary greatly. What you measure may not be the actual pH of the whole product. Problem 2 is that the pH may not remain stable throughout the storage time. For example, pickles generally use a 5% vinegar plus salt & water because the salt water brine causes the veg to create lactic acid, which can raise the acidity (and lower the pH) to as much as 20%. Pickles work because the acidity increases, other recipes may not because the reaction moves in the other direction, decreasing the acidity and raising the pH. …and if all else fails, you can freeze it. I have an old family spaghetti sauce recipe that we have used for over 35 years (probably over 45 years) that is canned in a boiling water bath. It does not use wine, vinegar or any other addition like is discussed in this blog. We have never had an issue with it and I will continue to make this wonderful recipe as it is!!! You don’t mention sugar as a possible ingredient – could that be the difference? Our recipe calls for the following: tomatoes, peppers, onions, garlic, parsley, bay leaf, oil, sugar, salt, and tomato paste. THANK YOU for this! i have a lot of friends canning things willy nilly right now. this time of year seems to inspire people to hoard food for the winter. many of them are not experienced canners and wing it on a lot of things. i know its a rare thing, but its scary to think what could happen. i hope a lot of people who read this will think twice about experimenting! I bought tomatoes yesterday to turn into sauce (my own are sitting green on the vine still) and when reading the ingredients out to the hubby he said “well that sounds bland and boring….” (he is the sauce maker in our house so has definite ideas about how it should be done) SOOO i am just going to peel and can some whole, and some crushed, and if the heat lets up i am going to make a paste out of some…thus giving the hubby the base for his sauce. because heck if he is going to poo-poo the tested recipes he can do the extra work come winter! I made a delicious pizza sauce one year. Canned it like the recipe said. On a lark, I emailed the extension office for our county. She emailed me back and and said that due to the high olive oil content, I should freeze it. She did not mention that I had the option to pressure can, which I could have done because I do have a pressure canner. I’m still not sure why that wouldn’t work since you can can hamburger and even sauces with hamburger in them or soups. But, since I’m not a chemist, I didn’t take any chances and stuck it in the freezer. Definitely it didn’t work for a gift basket like I hoped, but ah well… it was still delicious! Gosh… I should proof my stuff. Sorry. First I made a delicious pizza sauce “one” year. And when referring to the hamburger, meat sauces, and soups, you can “pressure can” those for the longest time required (by ingredient) and you are okay, but she sure didn’t say I could do that. I tried a few different tomato sauce recipes over the past few years, and found all of them to be rather disappointing. So this year my compromise has been to simply can all my tomatoes as just plain tomato sauce (with absolutely nothing else added but the required added lemon juice). That way, I can just doctor up each individual jar as I need it, right before I use it. So far it’s worked out perfectly; plus, I’m not left trying to figure out how many jars of pasta sauce vs pizza sauce vs any other kind of sauce I should be putting up. What happens if you do can tomato sauce a bit varied from the recipe? Like salsa or tomato sauce with more tomato paste? I canned about a month ago and they are sitting on the pantry shelf. Should I throw the contents out? How would you be able to tell if the contents are poisoned? Or can you not tell? I prefer to use citric acid as I find that lemon juice gives a slightly off flavor. Red wine vinegar is a good option too, just make sure that the acidity of your vinegar is acceptable (some fancy vinegars actually don’t have a high enough acidity levels). And don’t use fresh lemon juice to acidify tomatoes (fine in jams & jellies though!). It’s ph is not standardized (lol). Garden Girl mentioned fresh lemon juice vs. bottled. The reason I’ve heard/read in canning manuals and on the web for specifying bottled instead of fresh is that the bottled stuff is guaranteed to have a consistent level of acidity while fresh fruit may not. You may get a particularly sweet lemon with less acid or a more sour one that will alter the taste of the recipe. My feeling is that if you take the time to understand the food science behind it (which is difficult when most canning instructions don’t tell you *why* can’t do certain things), you’ll feel more comfortable with the risk you’re taking when modifying a recipe. So, if you think fresh lemons in the quantity you’re using will be safe enough for you personally, go for it. If not, use the bottled stuff. Marisa, thank you so much for giving the the pressure canner some attention. I have one and I absolutely love it. Pressure cookers/canners are nothing to be afraid of. I’m also much more comfortable modifying recipes when they’re being pressure canned because acidity isn’t really part of the preserving process (although most recipes still call for added acid as a safe-guard). The main idea behind pressure canning is that the food reaches a high temperature (about 240 degrees) for a long enough time to kill-off botulism spores, which are pretty much the only harmful microbes that can live over 212 degrees (boiling water). Making your food safe in a pressure canner is a matter of temperature, time, and the chunkiness or viscosity of your food–you want the heat to be able to penetrate to the center mass of the food. The moral of the story is that if you’re trying to adapt a recipe for canning, you can do it with the least amount of risk by investing in a pressure canner. Just choose a canning recipe that’s the closest to what you’re making in terms of ingredients and follow the processing instructions for that. You’ll eventually figure out that most veggie recipes call for 45-60 minutes and anything with meat calls for 75-90 minutes. I’m no scientist and I can’t guarantee that there’s NO risk, but I can tell you that I’ve been canning my own soup and stew recipes and my own marinara for over a year now and I trust it and feel safe. There’s nothing more satisfying than passing by the wall of Ragu in the megamart and opening a jar of homemade marinara for weeknight pasta. No defrosting–just heat and serve. And if you play your cards right, it’s cheaper too. I use the tomato sauce recipe ian Animal, Vegetable, Miracle and always add the lemon juice. It’s a good basic sauce and I doctor it with whatever I want after I pop the lid. I just made the Ball Blue Book ‘Herbed Spaghetti Sauce’. It tastes fine. I thought if it needed jazzing up I’d do that as I used it. In the meantime I know I’ve got a good base made from local tomatoes. Yummers. from what I’ve read, pH meters aren’t thought to be accurate enough for ensuring that home canned goods are safe. As with all things, it depends on the actual product. Sensitivity varies greatly depending on what the strips are marketed for, so you want to read up on what you are using, and calibrate when in doubt (i.e., measure the pH of some liquids with an all ready known pH). The bigger problem that I have with those colour-coded pH papers is that when you are dipping them into a red liquid, it can be difficult/messy to read the result. I much prefer using my digital pH metre for canning. Its become my favourite accessory. The pH in tomatoes themselves varies greatly, and is further impacted by how much you cook them down (i.e., how much water is cooked off). I just finished a batch of salsa, with no added acid but cooked down almost to a paste, whose pH came in at pH 3.1. Like many of the other commenters, I just can whole, skinned tomatoes and then use them to make sauce later in the year. The particular sauce recipe we use needs to cook down quite a bit and it’s difficult to get that with more than a double batch in any case, and this way we don’t need to worry about botulism. I might also try my hand at canning tomato paste and salsa this summer. Regarding pH meters, isn’t the issue in part that you need to make a slurry that has the exact ratios of ingredients in the can? That is, you can’t just dip a strip into the sauce, because unless you have pureed the onions, peppers, garlic, etc. their low acidity won’t be apparent in a test strip. Hi Marisa. Great post and great comments. Anyone have a recommendation for a canning book that is more about the science behind canning? For instance, I recently made pickled onions. Ball Blue Book calls for a 5 minute simmer in brine before hot pack. Other recipe (from a blog) calls for dumping sliced onions into hot brine, let sit for 30 minutes (no heat) then can. Process time was longer on second recipe, but onions were not soggy and limp as they were with the first (I made them both). Both had more than 1:1 ratio of vinegar to water so I feel comfortable with their safety. So I’m trying to figure out when can I raw pack and when should I hot pack, and I don’t just want to follow a tested recipe, I want to know WHY and how doing one or the other changes processing times. And stuff like could I have pasteurized these pickles rather than boiled them (ala National Center for Home Food Preservation instructions for cucumber pickles). I have a science background. I understand the fundamentals. I want to know more. And I am often wanting to do a variation on a recipe that is not in any of the trusted resources (extention recipes and Ball Blue Book). Any ideas for me? @Leigh: I made ketchup earlier this week and I noticed that when I added the veggie puree (basically, the liquids left over after cooking tomatoes, onions and peppers down for 30 minutes and then ran it through a fine-mesh sieve), vinegar, sugar and spices it looked a heck of a lot like canned enchiladas sauce. I have a hunch that if you just altered the spices–keeping the total proportion the same–for a standard ketchup canning recipe and just skipped the cooking down process, you’d have shelf-stable enchilada sauce. Thoughts? I am a canning newby and have really enjoyed your site, the ball canning book I have just didn’t give me enough info or variety on the subject. However this recent post has me concerned about a batch of salsa I just made and canned. It is the Pineapple Chili Salsa in the Ball book but I tweaked it a bit to my tastes. I changed the papaya to mango, added some jalepeno’s for more heat, used yellow instead of green onions and upped the brown sugar by 4 TBS, oh and I also added a few shakes of chipotle Tabasco sauce for a little more heat and smoke and to give a little vinegar kick – recipe used lemon and lime juice only. Should I be worried about messing up the acid levels of this recipe? Kristen, it appears that mango and papaya have similar pH values, so that substitution shouldn’t be a problem. Your addition of garlic and the increased amount of jalapeno concerns me though, as they’re both low acid ingredients. Did you increase the amount of onion as well? It may be that you’ve made the recipe unsafe. oops – I also added a few cloves of garlic to the Pineapple Chili Salsa recipe. I was wondering if you had any idea of what effect (if any) olive oil might have on pressure canning a tomato sauce (which includes meat). I’ve been reluctant so far to try canning my mother’s tomato sauce because of the olive oil. I’ve found recipes (in approved books) similar enough to my mothers that I know what time + pressure would be good, but the all use less olive oil than I feel is necessary in order to sautee the onions (I was already counting on leaving out the garlic because garlic + oil + room temperature is too botulism friendly) before adding the tomatoes and the rest of the stuff. Though not that much oil that you can even tell it’s there in the sauce. From what I’ve been reading, it looks like the worst the oil could do is make the jars not seal – kind of what happens when canning a meat based stock if you didn’t skim most of the fat off. Which is easy enough to know when I test the seals before storing the jars. So I was just wondering if you knew anything else about this subject. Yes I did increase onion a bit. In the future could I make these substitutions by adding some more acid, like more lemon/lime juice or vinegar? Maybe I need to eat this batch soon. I have read some recipes on Ninja Poodles that say add more peppers if you want more heat but with no change in lemon juice or vinegar – is that bad idea though? Lu, when you’re pressure canning, the pH of your food isn’t an issue anymore, so I imagine that you’re right and the lower amounts of oil are due to the fact that they want to ensure a seal. As far as the herbs go, I don’t have enough experience to speak from. Kristen, peppers are low acid, so if you increase their amounts, you will lower the acid of the finished product. I gotta say, your salsa makes me nervous. Ok thanks – it tastes good but better eat it up now and try to find a fruit salsa recipe that I like as is. Marisa, we use pHmeter all the time in laboratory (this is my work), this is the instrument to mesure the pH, but we need to calibrate with standard solutions before use and need a sensor for the temperature of the sauce when we take the lecture. And for strip-test, I agree with punkin3,14, the pigment of sauce could do interference when this is time to mesure pH… That kind of test are qualitative instead of quantitative… but useful in lot of case. Also, having a pH at least then 4.5 when you have pasta sauce is not enought, you need to increase time of boiling to be sure the middle of your jar will reach 212F (you have more thermoresistance with lot of solid, case of tomato pasta) and killed all the bacteria (but spore of botulisme will not growth because of the acidity, same as with other acid recipes). Other thing, the toxin of botulism is not thermoresistant… That mean, if you have the toxine in your jar of sauce (after long time storage) then you boil your sauce for at least 10 minutes before consum it, you destroy the toxin 🙂 I didn’t said to do that, I just said reboiling your sauce before eating is an other safety! that’s why I freeze my pizza sauce. I have successfully canned salsa from the Simply in Season cookbook for several years now – I wonder what the acid is there. My friend who cans green beans in her pressure canner says botulism can be killed by boiling food for 5 minutes before serving. Is this true? I always tell those people to just get the tomatoes canned and then make the sauce later and it will be just as good! Alternately, you can make up a batch of the family recipe if you’re going to freeze it. I use my FoodSaver for mine and it works out wonderfully. I find this discussion very interesting. For years my mother made tomato, celery and onion soup in jars. She boiled and overflowed then sealed the jars. She didn’t put the jars in a water bath. I don’t remember any going bad when I was a child. I have been using her recipe successfully for years and haven’t had any problems. I am wondering if we have just been very lucky all these years!! I’m with the commenter above! A few years ago I canned a ton of tomato sauce and then not as many whole tomatoes. I ended up reaching for the whole tomatoes much more often, and realized that I could always have made tomato sauce out of the canned ones. So now I basically only can whole tomatoes. I’m wondering your thoughts on heirloom tomatoes, which can often be lower in acid (particularly if you are throwing a few yellow tomatoes in too). I pressure can, so I’m less worried, but I’m wondering if you think about this. I have a love affair going on with my 23-quart pressure canner… oh the wonderful things we make together. 🙂 High, high, high on the list of favorites – a sublime pomodoro that my friend who lives in Tuscany gave me the general guidelines for. I use my juicer/steamer to separate and reduce – pressure canning the resulting vegetable stock, as well as the incredible sauce that morphs therefrom. Sigh… if we ever get tomatoes from our very sad garden this year I will break out in the hallelujah chorus! Does it really need to be bottled lemon juice? Can it be replaced by fresh lemon juice? Is bottled lemon juice concentrated or ready to drink? Sorry about the confusion, but I’m in Portugal and I’m trying to figure out how to replace this in an accurate way. Thanks! what do you say when people ask if they can reduce the salt in pickles? i have only found a recipe for low-sodium pickles, but someone was asking me if they can reduce the salt in dilly beans. I know salt acts as a preservative in fermenting, and preserves color, flavor, and texture in quick packs, but what about safety and low-sodium pickled products? Is that something they can reduce safely? Ball and Nat’l Center for Home Food Preservation don’t address this questions. Thanks! I’ve had my pressure canner for close to two years now and, as I mentioned, I can my own soup recipes (following the times for veggie or chicken soup depending on whether I used any meat or meat broth). I’m fairly heavy-handed with the oil during the saute phase and I’ve never had a jar not seal as long as you leave the right headspace. I also can my own chicken stock and occasionally, a little chicken fat will make it into the jar. It always seals fine and, as it cools, the fat rises to the top. 1) If the food siphons (leaks out during processing) and there’s a lot of oil, I suppose it could keep it from sealing. If you leave proper head space and clean the jar rim prior to closing, this should happen very rarely. 2) Oil is very heat-sensitive. It goes rancid easily when exposed to heat and light. Since pressure caning reaches 240 degrees or higher, you could be accelerating the break-down of the oil. Furthermore, it could probably go rancid sitting on the shelf later–even if unopened. (I’m not positive about this). Rancidity won’t kill you but it tastes pretty awful. 3) Pressure canning is about time, temperature, AND DENSITY of the food, which affects heat absorption. Adding lots of oil to a recipe will make the food absorb heat at a different rate (faster, I suspect…think about deep fat frying). Not only will this change canning times, but it may cook your food faster than water and you’ll have a mushy product. 4) Expansion – If you’ve ever used a deep fat fryer, you know that you can only fill the pot 2/3 full because the hot oil expands when water-logged items are dropped into it. I actually spotted a canning recipe the other day for vinaigrette-based canned red peppers. The instructions specifically say not to fill the jars more than 3/4 full because of expansion. Bottom line is that I don’t think the oil is so much of a safety issue as it is a hassle and quality issue. The people who write books of tested canning recipes want to guarantee that they’ll work, look good, and taste good 100% of the time–and be safe. The only way they can do that is to instruct you to avoid ingredients that are temperamental. Thanks, Marisa for opening up this great discussion! A lot of us more seasoned canners really want to learn how to work on our own recipes and it’s nice to have a form where people can share their personal successes and failures. Hey – I’m a beginner canner and my girlfriend and I canned about 6 jars of tomato sauce a few days ago. We used the boiling water seal method, and it wasn’t until after we got them all done that we read more about tomato canning and botulism spores. We put some wine in our sauce but no lemon juice or vinegar. This page was really helpful, so first and foremost, thanks.. That said, I guess my main question is: After just a few days of being jarred can we open it all back up, cook it and redo the canning but adding the lemon juice the second time around, or is this batch just doomed? – Dave in Philly. Dave, you probably should uncan that batch, boil it for a while, add some acid (consult Ball instructions on how much) and recan it. If you don’t, you could end up too nervous to eat it later on down the line. i live at 6200 feet elevation at Lake Tahoe. i have heard to can successfully i will need a pressure canner due to the altitude and boiling temp at high altitude. i have a pressure cooker is that the same as a pressure canner? I have been canning for 20 years. My mother taught me everything she knows. I have always canned my homemade marinara sauce as is without adding lemon juice or vinegar. I process quarts 1 hour and 15 minutes at 10 lbs pressure in the pressure cooker. This is an alternative to hot water bath canning that allows safe canning of low acid foods. My mother canned leftover meats, soups, seafood, and even homemade peanut butter using the pressure cooker. With the pressure cooker I can 500 jars a year and save huge on groceries. The other option for storing homemade spaghetti sauce is freezing. Use a thick, high quality freezer bag and store in 2-3 cup increments. If you freeze them flat, they take up remarkable little space in the freezer. Heather, this post was only about processing things in a boiling water canner. The rules change when you’re using a pressure canner. Katie, you’re right, freezing is another option. A friend of mine invited me over yesterday to can homemade salsa. She followed an ingredient recipe but did not process them at all-just sealed them. Within an hour all of the jars did seal. Is it safe to keep on the shelf? I didn’t think they’d seal. The recipe called for a 2 cups of vinegar and some lemon juice. Also, it’s very thin and runny. Is there anything a person can do to thicken it up once you open it? Shelley, it’s not safe to skip the boiling water bath step. Though the jars sealed, the processing ensures that any bacteria or yeast that floated into the jars during canning are killed. Has anyone canned pesto sauce? Pesto freezes beautifully. The garlic, oil, cheese nuts and basil are all low-acid and canning it would definitely require a pressure canner. By the time you put it through enough processing to make it safely shelf stable, it would be a cooked, brown mess and would taste nasty. Stick with freezing. so then a pressure cooker is the same as a pressure canner? Scott, a pressure cooker is different from a pressure canner. Pressure canners either have gauges or numbered weights that let you know what the amount of pressure is that your food in under. Pressure canning recipes should always give you the amount of pressure you need to apply – typically either 10 or 15 pounds. Thanks Marisa. That’s kind of what I thought. Can I freeze these jars or should I just plan to use it all right away? Should I store them in the fridge? I’m kind of new to this and she says she’s never had any problems, but I do remember my mom boiling everything. Answers to canning, freezing, curing questions for every food you can think of. Yesterday I pressure canned a tomato sauce with ground beef, onions garlic, olive oil and herbs. 1st try it took me 20 min to get the seal on right (my top is a bit tempormental and this is the first time this season I have used it) so I lost alot of water before I got going thus the canner ran dry after 30 min. So I reprocessed and that went well got the seal right but it still ran dry after 47 min. I have never canned meat before so had no idea I needed to add extra water to go for an hour. If I try again will I ruin the sauce? I was thinking of giving up and freezing but I really wanted this self stable. Well, I just went ahead and pressure canned my spaghetti/pizza sauce. It is worth it to me. The ones suited for water bath canning are nasty sour. I’d rather freeze it or take the time to pressure can. Oh, and thank you for bringing this up! I’ve known a lot of people who do not think that proper canning technique is important because, you know, it was good enough for grandma. Ugh. I have an added tip or two for those of you looking into pressure canners…. A pressure canner is essentially no different than a pressure cooker except that a) It is much larger to accommodate the jars and; b) It usually has a way to regulate the pressure to different levels (PSI)…and the pressure directly relates to the temperature it reaches inside. Most canning recipes call for 10 psi while a standard pressure cooker is designed to stay at 15 psi. It’d probably work but you’d overcook your food and you can’t really get even a single pint jar into a 5 qt pot. Not recommended. The least expensive pressure canners on the market are the two sizes made by Presto. In fact, Walmart and Walmart.com usually sell them for less than the MSRP. The large one comes with a jiggler weighted for 15 psi and a pressure gauge. The smaller one comes with a two-part jiggler that you can separate to do either 10 or 15 psi and NO gauge. Here’s the tip… While it’s nice to be able to see the actual pressure in the pot, I wish I had the smaller pot because a) It comes up to pressure much faster for small batches; and b) You don’t have to stand there and tinker with the heat because the 10 psi jiggler will make sure you never go over 10 psi. For these reasons, I’d recommend the smaller pot if you can find it. If you really want more space or the pressure gauge, go with the big pot but order the replacement two-part jiggler from Presto. I’m thinking I may do that myself soon. I recently started canning and learned that figs, like tomatoes are low-acid. I used a recipe for fig strawberry balsamic jam from Yvonne Tromblay’s book, but it only called for 1T vinegar. I’m wondering if the acidity of the strawberries is enough to raise the Ph of the figs. Should I be worried? Brenda, strawberries typically have a pH of between 3 and 3.9, making them quite acidic. I don’t know the amounts in the recipe you’re using, but I imagine that combination of the acidic strawberries with the balsamic vinegar makes for an acidic-enough jam. I am new to canning too, and just prepared a batch of tomato sauce (includes fresh onions, garlic and basil) for canning. If I want to substitute lemon juice with citric acid, what is the ratio per quart? Thank you so much for this great site! I canned today for the first time. I roasted tomatoes and garlic with olive oil in the oven, then used a food mill and simmered the sauce on the stove until ready for canning. I added 1 tbls. of lemon juice to each jar and left 1/2 in. space. I then did the hot water bath canning, but i accidently left the jars in the canner pot for 45 min. verses the 35 min. required. Also I simmered the sauce for about two hours. From what I have been reading, i’m thinking I wasn’t supposed to do that. makes for a lower acidity, not sure. I made a recipe of salsa and my mother-in-law was helping. I have never canned before and so am now reading up on it. So, it called for 30 med tomatoes…which I had small yellow “pear” tomatoes, romas and steak tomatoes. We had more that what it called for, i am guessing. So, we added more of all of the other ingredients. But, I was not sure how much vinegar to add (called for 2 cups) I added 3/4 cups to each 5 1/2 quart pot, plus around 2 Tbs of lemon juice to each. I am a bit nervous not after reading the posts. One other thing. We cooked the salsa for about 2 hours and them water-bathed each pint jar for 35min. What do you think? I canned with my mother-in-law (who has canned many times) and I have never canned before. We made salsa. We used a canning recipe but it called for 30 Medium tomotoes, and we had small yellow “pear” tomatoes, romas, and larger steak tomatoes. I am sure that we had more that the 30 called for and so we added more of all of the ingredients. After reading up on canning, I am a little nervous. So, the big thing is, I added about 3/4 cup vinegar and about 2 Tbs lemon juice to each 5 1/2 quart pot of salsa. What do you think? We water-bathed the pint jars for 35min after cooking the salsa for about 2 hours. Help! I just canned pizza sauce. It was boiling when i put it in the jars and it self sealed. i was told it was fine. am i at risk? i’m scared to eat it. thanks!!! Jenn, I can’t tell you for sure if your sauce is safe, but I’m guessing it’s not. First, I don’t know what you put in it (tomatoes need additional acid to be safe for canning, and if you added such things as onions, garlic, peppers and herbs, you need even more acid to bring the pH of the sauce into a safe zone). Second, it doesn’t sound like you did a processing step. To be in accordance with USDA canning guidelines, you must process those jars, either in a boiling water canner or a pressure canner, depending on the recipe you used. When canning, always consult tested recipes, such as those in the Ball Blue Book or the University of Georgia’s So Easy to Preserve. I have two questions: First, I made three quart-sized jars of pickles last weekend using a pressure canner. I think I may have not processed them quite long enough because I live at a high elevation. They are sealed and sitting in my cupboard. Do I need to toss them or is there anything I can to to be sure they are safe? Can I reboil them and recan them or is it too late? Secondly, I made some 8oz. and 12 oz. jars of salsa yesterday. I changed the recipe in the Ball book a bit before reading that you should never do this. I used green chiles instead of jalepenos, left out the teaspoon of ground cumin because I ran out, and I also added 2 tablespoons of fresh lime juice. Do you think these need to be thrown away? Also, one of the jars has more head room than it should. How will this affect the food storage? Thanks for your help!!! I just home canned tomato pints. I think I didn’t process them long enough. 45 minutes in the water bath. Should I throw them out? thank you a million times over for the hard facts on this topic! I had been wondering and hadn’t found a good source to just, plain ole English, say what can be canned in a water bath 🙂 THANK YOU! Why bottled lemon juice, can’t you use real lemon juice? I love the minnesota tomato mixture! It has onions, peppers, celery in it and can be hotwater bathed or it can be pressure canned it is put out by the University of Mn extension. 250 jars of tomato sauce canned by sterilizing the jars in the oven, boiling the tomato sauce, and letting the sauce seal on its own. no acid added. Just garlic, a little oil, salt, and a couple basil leaves per can. What to do? Please help. So if I used the lemon juice from the little yellow bottle with the green cap to can my tomatoes will they be ok if I will be cooking them when I use them or are they not good? Using that lemon juice is just fine. Hmmmm…..I cooked down what was left of assorted hot peppers & tomatoes (overnight in the slow cooker) after pureeing them in the food processor, then put the hot mixture in my last three pint jars with a tablespoon of lemon juice in each jar. Then I did the boiling water bath for 35 minutes, figuring the combination of that long cooking time, acid, and processing would kill any botulism. I have no idea what the proportion of pepper/tomato/onion is. It’s thick & spicy! So my question is: if there WOULD somehow be botulism in a jar, is the ‘boil for ten minutes’ rule going to kill it? My husband’s family cans tomatoes every year in the most incredibly rule-breaking ways and they generally do the boil-it-good-before-you-eat-it route. Is this what keeps them alive? He teases me a lot about my newfound canning desire & earnest rule-following. Ok, not so rule-following since I did the aforementioned pints of chili sauce without my pressure canner (3 pint jars in a 16-quart canner? Seems silly) but definitely earnest. I am a total newbie and stupid stupid me read one online recipe for basic crushed tomaotoe sauce….and followed it. 3 busels later I am reading around and have read in SERVERAL places that 2 TBSP of lemon juice is needed per quart, I only added 1 TBSP….OMG have I wasted many many hours canning tomatoes that are not safe to eat? I’m in a similar situation – I made my sauce and added the jars to a boil that I had going for an apple butter recipe (which did say to use the boil-water method), but then hopped online to check how long the bigger tomato sauce cans should be left in only to find this. I’ve pulled out my tomato sauce after 15 minutes. If I let the jars cool 24 hours, can I then add lemon juice and re-process (properly) safely? i’m a bit confused on oil and herbs in the sauce for water bath canning. can i add either or both? i’ve seen recipes call for oil (1tbsp) and basil/garlic and then others that say just do the tomatoes (and lemon juice). what’s the best way to do it? thank you! It’s best to follow a tested recipe. If it calls for oil and herbs, it’s safe to add them. If it doesn’t, then it’s not. a co-worker and I made some spaghetti sauce using tomatoes from our daycare garden. I have never caned before. She said it was ok to do it. Our sauce does contain garlic, onions, oil, green peppers, (which I see now that may not be good to can) we also added carrots, orgeno, sugar, tomato paste, fresh hot pepper. We let it simmer somwhere between 3-5 hrs. We left them out to seal and most jars did. Do we have to toss all jars out? or could we use them up now??? If I understand you right, you didn’t follow a tested recipe or process your jars. Does not sound safe to me. yesterday i made some green tomato relish from a recipe i found online. after doing all the work and processing, i got to wondering about the vinegar content and whether or not the ratio of vinegar was high enough. also the recipe was fairly vague for amounts, but the result was only 250 ml over what they told me it would be so i must have got that part close! it called for 24 large green tomatoes (i used roma), 3 red bell peppers (i used 2 very large ones), 3 green bell peppers, 12 large onions (i used 10 because mine were huge), 3 tbsp celery seed and mustard seed, 1 tbsp salt, 5 cups sugar and 2 cups apple cider vinegar. i also had a break in canning, so after processing the first lot (30 minutes in a water bath), i left it on the stove and came back a couple hours later process the rest bringing the mixture back to a boil each time. do you see any problems in this? Hi I am looking to can olive oil. How is it done? Kevin, I have no idea how you can olive oil. I have NEVER canned anything before. I currently have a huge pot of tomato sauce on the stove that I had intended on canning using the waterbath method (I do not have a pressure canner). After reading your blog I’m scared. I did not use fresh tomatos and I’m hoping that since I used cans of puree and paste it will be ok to proceed as planned. In addition to the cans of puree and paste I have added fresh onions and basil sauteed in olive oil, and dried oregano. Do I need to resort to freezing? After the tomato sauce I also plan on canning our family sauer kraut recipe which uses jarred sauer kraut and fresh bacon. After that my plan was to jar my apple pie filling using fresh granny smith apples. I know this is long–I appreciate any help you can offer to this newbie. Linda, chances are that your sauce is not safe for canning. The use of previously canned tomatoes does not make a sauce made from them safe for canning. If you added onions, garlic and herbs without adding additional acid, my best guess would be that it’s too low in acid for safe canning. I can tell you that it is never safe to anything containing meat without a pressure canner. You should not can your sauerkraut with bacon in a water bath canner. When canning, it’s always recommended to follow tested recipes to ensure safety, particularly when you’re just getting started. Well poop 😉 … but thank you for the quick response … I’m still deciding whether I should freeze or not … Am I correct in believing that if I add 2 tbsp. lemon juice to each 1 qt. jar it will be alright? Also, will that change the flavor drastically? (don’t think I want to serve a lemony spaghetti sauce. Oh one more thing, I have pork neck bones in the sauce … they’ll be removed before canning, even though “technically” this is not a meat sauce, is it considered a meat sauce in the canning world? Any amount of meat makes it a meat sauce. So the presence of those neck bones renders it absolutely unfit for boiling water bath canning. No amount of lemon juice will make it safe. That’s a sauce that can ONLY be frozen or pressure canned. I have to admit, Marissa, that your post is kind of a bummer. I was planning next summer to can a crap-load of spaghetti sauce for myself, family and friends so I was researching how to do that and found your blog (which is awesome, I must say). Now that I know I can’t do that, I’m pretty disappointed, but glad to not have botulism. However, your bummer of a post has peaked my interest in pressure cookers/canners. Is there a brand you can recommend? Can you use a pressure cooker as a pressure canner and vice versa? What’s the differece? I just sent a reply to your question and it disappeared! I do not know if it’s going to post or not so I’ll re-type and hope it doesn’t show two times. I’ve been using a pressure canner to can beef, pork, chicken, broth, beans, pumkin and beets for about two years. Tomatoes and tomatoe sauce is the next thing on my list, I’m just waiting for them to go on sale again. I use the Presto brand pressure canners and have both the 16 and 23 quart versions. 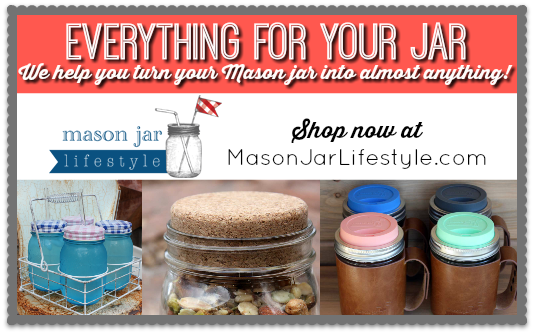 The 23 quart version will fit two ‘layers’ of pint jars or one ‘layer’ of quart jars. The 16 quart will only can one layer. I’ve been very happy with both canners (purchased on Amazon for about $80 each). With regard to using a pressure cooker as a canner, there are a couple issues. First, you’d need a rack that would fit inside the cooker – jars should not be in direct contact with the heat source. Second, if you could fit jars in one, your batch would only produce a few 8oz. jars. The down-side is that (since the last time I was there) they do not give much of a ‘how-to’ or recipes. I started with a cold pack, but learned I prefer hot pack for all meats that are being canned. Just a side note, there is up-front time/effort involved but I’ve found it so beneficial. Meat is on the shelf with no preservatives all the time. We can have meat, mashed potatoes and gravy in the time it takes to make the potatoes (the juices in the jars make awesome gravy). ‘The Ball Complete Book of Home Preserving’ is a source I’ve been very happy with. It discusses proper procedure for both water bath and pressure canning, has methods for canning single items (meats, vegetables, beans) but also has a lot of recipes. I purchased mine on Amazon, which was about half the cost of B&N. Have a great day, and happy canning! I am new to canning and want to make paste, sauce ( spagehtti,tomatoe), salsa, juce, etc. Would it be better to can the tomatoes whole now and make these things later or should I do these now and bypass the whole tomatoe step? pls help. My preference is to can whole tomatoes and then make those other products as needed. I do make salsa and can it. I’d recommend getting a good canning cookbook and trying some of the recipes for salsa, sauce, juice, etc. and find out if you like them. That’s the first step. I would like to learn about jarring my own homemade “Sunday Gravy” tomato sauce for resale in specialty stores. 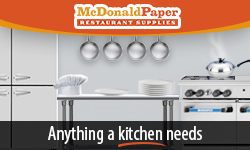 I know I will need to look into a commercial FDA approved kitchen but do you have other suggestions as to what to do? My desire is not to add preservatives or sugar. Please help steer me in the right direction. If I can my tomato sauce with meat in a pressure canner, do i need to add lemon juice or vinegar? As long as you can it in a pressure canner and follow the prescribed time and pressure for that kind of product, you can skip the acidic ingredients. I am a veteran cook but have only canned jam in the past. Decided to go for it with tomatoes and then wondered “Why process twice when I can just make my heavenly sauce and can that?”. Ooops. 7 quarts later I read your post on why this is not a wise idea. I did however use a bottle of red wine and 1/4 of a second in the sauce. Would this be enough to raise the PH level sufficiently? If not can I simply let the jars cool for a few hours and then place them in the freezer? Help! I can’t know whether your bottle and a 1/4 of wine is enough to sufficiently raise the acidity of your sauce to safe levels unless I know what else is in the sauce. However, you could just let it cool, pop the jars to remove the sauce to give the jars enough headspace and then freeze them. Make sure to leave at least 2 inches of headspace for quarts that are going into the freezer. I followed the Ball Book recipe for seasoned tomato sauce along with the lemon. I used quarts but processed for 35 minutes instead of 40; there was definately some added time with putting them all in (it was at a boil) as well as the 5 minute rest time. Are they ruined? Jenny, I don’t know if they’re ruined or not. Did you follow the Ball recipe and processing time? Is so, you’re probably fine. If you made up your own recipe and shortened the time, they may not be safe. However, I can’t tell you one way or another. So, I followed the recipe. The process time says 40 and then 5 minutes with the lid and heat off. They definately sat in the water 40 with maybe 5 minutes not boiling. I feel like it is fine – lids are all concave – lemon in. Thoughts? Further explanation …. I used quarts instead of pints but read the quarts processing time. I have 4 tomato plants and so far only one is producing tomato’s. I have about 15 tomatoes that are pretty ripe. I don’t know how people get so many pounds of tomatoes, but maybe later in the season they will all produce. I want to can some tomato sauce (my grandmother’s recipe), but it calls for using tomato puree in addition to fresh tomatoe’s. Can I use canned tomato puree with my fresh tomato sauce. I do have citric acid to add to my sauce and am planning on water bathing them since this is the first year I have canned (trying to see if it is worth it). Can someone tell me if I can do this? I made hot sauce (salsa) yesterday but did not hot water bath them can that be done now? My husband makes his salsa using canned tomatoes from the grocery store, he then adds fresh jalapeno and banana peppers and cilantro. If we can the salsa using the water bath method do we need to worry about the ph level since the tomatoes were already canned? It doesn’t matter that the tomatoes were previously canned. You’re still adding a bunch of low acid ingredients to the tomatoes, which will lower the pH of the finished product and could move it into an unsafe area. I have been using a recipe for homemade tomato sauce since 1975. It doesn’t call for lemon juice or citric acid. The sauce is processed in a boiling water bath for 15 minutes. It’s a delicious sauce and I’ve never had a problem. I use my own home-grown tomatoes and any other ingredients I have (parsley, oregano, basil). Delicious! Linda, canning standards were drastically rewritten in 1988-89 and so what was considered safe in 1975 isn’t seen as such anymore. The National Center for Home Food Preservation recommends that you only follow recipes published in the last 25 years. Ok- so I understand that you cannot use a water bath for canning your family tomato sauce recipe, but why can’t you use a pressure canner? Isn’t there a maximum pressure and time for a pressure canner that would kill anything regardless of whether it is a scientifically tested recipe? Thanks! Ok-sorry- just read the last paragraph that I missed where you totally just answered my last question. 🙂 But how do I know how long and how much pressure for a family tomato sauce recipe for a pressure canner? Thanks! Couldn’t you use Balsamic Vinegar instead of lemon juice to to reach proper acidity? It’s about 6% and I love it in my sauce… would that work? Nope, you can’t sub in balsamic vinegar. It doesn’t have the same concentration of acid that lemon juice does. You’d have to use far, far more. I canned some tomato sauce and mistakenly used 1 teaspoon rather than 1 tablespoon of bottled lemon juice per pint. Would I be able to recook and reprocess this sauce so I don’t lose it entirely? Yep, you can certainly do that. Out of curiousity, I’m going to have to ask this. I make a spaghetti sauce with sausage that simmers overnight. I want to can it because I don’t have the freezer space to store it this year. If it’s simmering for a minimum of 8 hours, canned in a pressure canner, and brought to a simmer again before consumption, how could the botulism possibly survive all that? My recipe is somewhat similar to the version on the USDA website, minus the veggies (except for the mushrooms, sometimes we add them, sometimes we don’t). The main difference is that I don’t measure anything–I eyeball it, and adjust to taste/or to what I have on hand. The way I understand the USDA recipe is that there isn’t any room for adjustments of any kind. This blog post was about canning tomato sauce in a boiling water bath canner. If you’re using a pressure canner, many of the restrictions go out the window. I have been looking for days on the internet for a tomato basil soup recipe to water bath can with. Thinking maybe garlic, peppers & onions too? Can you offer any suggestions? There are tons of more basic recipes, but I am really looking for a soup recipe. Thanks!!! This is the dumbest article about not canning your families tomato sauce recipe. Tomatoes are a high acid food on their own, don’t require ‘pickling’ with vinegar. I have been canning for over 25 years and I go against the grain sometimes and can things without canning recipes. Basic tomato sauce is perfect for a first canning experience and a water bath canner is fine. BTW no one has ever gotten ill from my items including meat based things I have made in my pressure canner. I have also won awards from my canned food including BBQ sauce. Tomatoes are not a high acid food. Modern tomatoes do not have enough acid to be canned without adding something acidic. I put red wine in my homemade sauce. I used canned tomatoe puree. So, was wondering is that safe to water bath and can??? Rosanne, I can’t determine that. You’d need to test the pH. Bernardin just released a salsa mix where you add in fresh tomatoes and basically whatever you want with 1/4 of that mix added to it and then process it in a boiling water canner for 35 mins, so it seems like they are creating things that allow us to can grandma’s recipe. The salsa mix says on the bottle that the sauce will last sealed for a year. so maybe if we add some of this to our pasta sauces it would help to preserve our creations for sauce. If they are saying boiling water canner than that’s what I’m going to follow. I have a salsa recipe that I’ve used for a long time and everyone loves it. I make a lot and eat some fresh and can the rest. But the recipe calls for vinegar even though it has some onions etc. Our entire church uses it without problems. We waterbath can them so that must raise the ph enough for it to be safe. I don’t think Melissa is talking to be about being hostile. I think I put my comment in the wrong place. I think the USDA says that simply because there are a very few varieties of tomatoes that are not acidic enough. I’ve found that most varieties are in fact acidic enough, around PH 4.0. The only ones that are not are some very sweet heirloom varieties, but I don’t think those are suitable for sauce anyway. I test my batches of sauce with some PH strips, and they are always well below 4.5 PH… I still add a very small amount of citric acid just in case, but I’m pretty sure it is not necessary unless you are canning those few varieties that lack the acidity. I have yet to find such a variety, and I’ve grown several different types of heirlooms. I’ve learned so much from this article and comments and your (Marisa) reponses here. I was discouraged at first, but then realized I CAN jar my old family recipe. I was concerned that adding lemon juice would change the recipe, but read here it doesn’t really affect the taste. I also (just now) learned that tomatoes were not a high acid food… I always thought they were. I’ve always added a little sugar to my sauce (supposedly to counteract the acidity). So much for that theory. I did also research what sugar does to pH, and apparently adding it doesn’t contribute to lowering the pH. So I guess, if I’m at all concerned about the lemon juice affecting this 60+ year old recipe, I can add a little sugar (it’s probably more psychological than necessary). I’ve NEVER canned anything before. Now to research what I need besides a pressure canner. Oh yes… and I learned about pH strips. Must get some of those. I put 14 canning jars each time in the oven for 20 minutes at 250 F degrees after washing with hot water. I do not turn off the oven until finishing canning. I have usinf this method to can stawberry jams, peaches and tometoe sauce. I still have 2 tometoe sauce jars left from four years ago. I am still alive. That’s a little hostile, don’t you think? 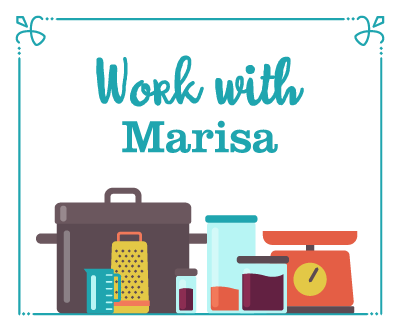 Marisa is following the USDA standards for safe canning practices, which keeps inexperienced canners from getting sick, or worse, getting other people sick. Take a deep breath. No one was attacking you. Thanks Marisa for always looking out for us while still embracing creativity in recipes. I always know I can trust your measured viewpoint on different preserving processes. I’d always rather be safe than sorry…adding lemon juice is a good way to increase the acid levels safely without having the alter the taste too much. I love this website and need to buy your book, soon! Thank you crazy canner for the information regarding canning with meat in sauces…..I hate waste & have so many tomatoes to put away & we just don’t eat things up fast enough to freeze. Totally agree. Grew up on a farm in SW PA and mom canned everything her three boys could pick. We lived and the canned food was always delicious. Well, maybe not all. I hated canned green beans. There are a lot of comments here, but things are different now than 30 years ago. The change to acidize tomato or tomato sauce came about in 1994 when it was determined that new varieties of tomatoes were not acid enough to meet existing canning procedures. The problem with tomatoes is that they vary in acid depending on growing conditions, ripeness, variety, early or late season, and probably a few other things. Acidizing was applied to both water bath and pressure canning because as presented, the two processes do the same thing. Pressure canning is just a higher temperature and shorter time procedure, but with respect to tomatoes, it is not particularly different. Both procedures need tomatoes with a pH of less than 4.6 to be safe at the times and pressures listed. Since I didn’t want to acidize my tomatoes, here is what I figured out. (1) According to the U of Arizona, new varieties of tomatoes had a pH of 5, so one better be acidizing those varieties or trouble is a-coming. (2) If you are canning a salsa recipe or something similar, it is not the same as canning plain tomatoes. Canning a mix of anything can get really complex, like how safe a particular recipe can be canned may depend on the amount of free water molecules in the mix. If the recipe has sugar, the sugar occupies the free water molecules and prevents bacterial growth. Reducing the sugar can significantly change the way the mix behaves. That’s why instructions are constantly yapping about following tested recipes exactly. (3) Can’t one just pressure can tomatoes as a low acid food like green beans and not acidize? Certainly, but we have no times or pressures for that procedure. It certainly seems like the USDA could have done the bacteriological studies by now and come up with canning procedures for low acid tomatoes, but it’s not happened yet. My experiments – I grind tomatoes up and can them every year. This year I decided to do some testing and maybe avoid acidizing. The varieties I grow vary from heirlooms to new hybrids to paste types. When I grind tomatoes, everything that is ripe goes in the mix. So I ground and pressed 3 gallons of juice and did pH tests on the juice. My pH meter is a good unit that can be calibrated with standardized buffers of pH4, pH7, and pH9. I also have pH strips, the kind that has 4 color patches that each turn a different color and is compared to a 4 color, color-metric scale. I have never seen a pH strip that is a single color type that is even close to accurate. So if you are going to use pH strips make sure they are the type with 4 color patches. The results indicated that the pH of the mix was 4.5. For me that was too close for comfort and I acidized the batches. Maybe the USDA or some University will get a around to doing the studies, but for now we are stuck. djh has covered this quite well. Just because no one has ever died from eating my (or your) canned foods is no reason to advocate reckless behavior! You might can food using unsafe techniques for a lifetime without ever growing botulism spores–just like you might routinely run red lights without having a collision. But Ms. McClellan is doing the right thing by advising people to pay attention to food safety. If you read the article, it refers specifically to sauce with other (low-acid) ingredients added. I used powdered ascorbic acid instead of lemon juice in my pressure cooked tomatoes. Is that ok? I just processed them and realized – so i put them in the fridge. Can I add lemon juice and reprocess the cans? San, if you pressure canned your tomatoes, there’s no need to acidify them at all. Just so you know, ascorbic acid is used in canning to prevent discoloration, but not for the acidification of low acid foods. Ok, I accept the danger of using the water bath for tomatoes. Ok, I will use my pressure canner; how long, and what pressure for pints at sea level? I would rather have just tomatoes not tomatoes with lemon juice. You are correct, Marisa. Sadly, some who have been canning for years and years don’t do the research to see that tomato acidity has lowered considerably in modern times and diffrerent varieties swing dramatically in their acidity. Just because no one has gotten sick YET on your products, doesn’t mean you aren’t taking a risk. Citric acid is a great, cheap addition that won’t adversely affect the taste of your canned goods. I think all first time canners should follow the rules exactly. After they have been canning a while, or if they have a family or friend who has done it for years, they can start experimenting, but only after fully understanding the reasons you use a water bath and/or pressure canning method. They need to understand the a ph of different foods and different foods mixed together which helps determine which canning method to use and when in doubt, use pressure canner. Also, we grow only Heirloom tomatoes. They have a higher acidity then new varieties and hybrids. I have been canning for a long time, but got sick and laid off for a while, so I still need to look things up. My older Homes and Garden Cookbook works for the easy things and I use the cookbooks that came with the canning supplies (Ball and Kerr) which give you a lot of information on creative recipes like tomato sauces etc. I think you can still get the updated ones through Amazon. Does your ‘research’ include checking the pH of actual tomato sauce? If not, you’re making assumptions. FWIW, I just made some sauce and my pH came out at 4. Calibrate your meter & collect your own data! Thanks for giving out this web address. I am wanting to can some tomato sauce that has green peppers, onions and garlic in it. It also includes vinegar instead of lemon juice. And I was wondering how much i would need. (My Better Homes and Garden’s canning book is really really old (1973). But it is a good resource. Thanks again for the site. Really old is really a respective point of view, I use my Mom’s recipe book published in 1958. Too bad it has the cover missing. Suppose that was from seven boys and two girls learning how to cook and can. Except jam pretty much everything else (fruits, corn, green beans, chicken, beef. fish, tomato and sauces,) are pressure canned. Hi, I wanted to can my grandmother’s enchilada sauce recipe, with a few alterations. Basically I want to can tomatoes with spices (chile powder, cumin, oregano, granulated garlic, dehydrated onion) and some green chiles from my garden. I thought I could add the lemon juice and salt that I would add to my plain tomatoes. I am omitted the meat and olives from my grandma’s recipe that I figure I can add later. I am assuming that adding the green chiles is similar to the chiles added to salsa and that the recipe will be safe. What can you see in my recipe that would give you pause? The onion? The FDA’s “Bad Bug Book” (yes, that is really what they call it) includes a list of the pH of common fruits and vegetables. Anything with a pH higher than 4.6 is considered low acid and unsafe for boiling water bath canning. I’m confused- you say “anything with a pH higher than 4.6 is considered LOW acid”? I tho’t the higher the pH the more acidic, and going lower on the scale is more alkaline. How do you check the pH of foods not on the list, like breadfruit and guava? Mahalo for your input. A high pH number means that the product is low in acid and a low pH number means that something is high in acid. A pH number of 4.6 or below means that the product is high in acid, a pH number of 4.7 or above means that it’s low in acid. In order to check the acid of something, you make the product, then puree it and use a pH meter or litmus paper to test the acid level. ph 0 to 4.6 is high acid, ph 4.7 to 7.0 is low acid (7.0 is neutral, not acid or alkaline) ph 7.1 to ph 14 is alkaline. I just finished canning tomatoe sauce. I don’t know what i was thinking but did add about 1/2 cup of onion to five quarts of the sauce without adding lemon juice. I water bathed for 40 minutes. Is this sauce safe? What should I do? I just found your site; it has tons of really great advice and tips, all useful even for a veteran canner like me. I put up my first batch of tomatoes when I was about six or seven. There was a LOT of supervision. I was so proud when I stood back and looked at my very own jars of tomatoes, from my very own tomato vines in my very own patch of garden. That feeling has never faded. Now, sixty years later, I turn all of my tomatoes into salsa. I use a couple kinds of tomatoes, and since my recipe calls for vinegar I don’t have to worry about acid levels. Now, for the question:I’d like to make spaghetti sauce this year (meatless), can it be canned safely in a boiling water bath if I add some kind of acid to it? Or would it be better, safer, to just put up an unseasoned tomato sauce then add the onions, peppers etc when I plan to use it? Rose, if you follow a tested recipe for your sauce, you can safely can it in a boiling water bath. However, I find that it’s actually easier to make either crushed or peeled tomatoes for my preserves. However, it’s really a matter of what you’ll use. I have been canning my tomatoes without adding acid for years but decideded to try it differently this year …it was wonderful …my husband says they are the best I’ve ever done …I dropped a few basil leaves in bottom of jar with sea salt and lemon juice and now this is my ‘new’ way of putting up tomatoes. Was the basil fresh or dried? This article got me curious about the sauce that we’ve been making all summer. I happen to work in a chemistry lab, so I packed up two samples from two different recipes made since June, and a ripe tomato and headed down to use our digital pH meters. I calibrated the meter using distilled water and tested against some known pHs to confirm and tested all three. The tomato itself came in at 4.24, and both sauce samples came in at 3.92 on three separate tests. I used a fair amount of peppers and mushrooms in the sauce but I also added about a cup and a half of white vinegar to both for extra acidity. I can post recipes if anyone would like. Now to my question: You said that anything under about 4.5 is safe, so all else being equal, the pH should be OK here on terms of making it inhospitable for botulinum, right? I’m certainly not new to chemistry, but I am new to canning! Yep, anything under 4.5 pH is considered high in acid and safe for boiling water bath canning. Typical pH testing for canned goods is to puree the product, so that you can get a read on the overall pH. But your recipes are testing in those ranges, they are safe. I’d love to see the recipe you’re using! First of all high acid is defined as a PH of 4.6 or lower and the FDA has determined any finished tomato product with a PH of 4.7 or lower is enough to prevent the growth of C. Botulinum. I just water bath canned 6 jars of amazing spaghetti sauce, then happened to read about botulism. I used nothing to increase the acidity. 🙁 They are now in the fridge. So, the sauce cooked and simmered for about 10 hours, the jars boiled for 45 minutes, and sat out to cool for 15 hours. Would it be a risk to eat this sauce? 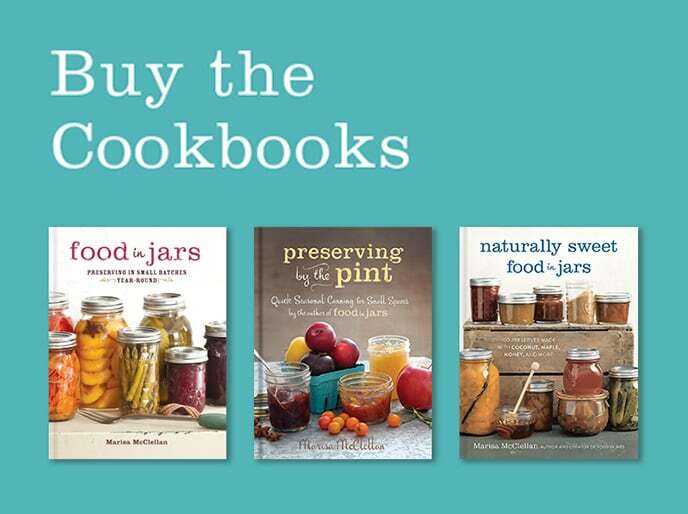 I am going to buy a canning book today. When I was learning to can (nearly 40 years ago), Mama always said “When in doubt, dump it out.” If it were just tomatoes, and you’ve kept it in the fridge since coming out of the canner today, I would say dump it all back into your big pot, reheat it to boiling, re-sterilize your jars, use NEW lids, and add 1 TBL commercially prepared lemon juice per pint (or 2 TBL per quart), and can it again. However, if you’ve added onions, peppers, mushrooms, etc., etc., etc., and you didn’t use a recipe that tells you how much acid to add for the proportions of other veggies you used, I personally wouldn’t trust it. Thank you so much. I’ve heard from “folks on the street” that good old saying, “I’m sure it’s fine!” But I trust this forum much more. Out it goes! just the cost of learning a new skill. Thanks again!! hi. i was wondering – since i found this site – i was planning on canning some hot and sweet peppers in tomato sauce. i’ve done it before, and only used the water bath. i didn’t use a recipe before – but i did use store-purchased tomatos and sauce, then added garlic, etc. is it safe to can this in a water bath? i’m not really much of a canning person, but i love italian peppers in sauce. hopefully, i’ll get a reply before i can them. thanks so much for your help. Nope, not at all safe to can in a waterbath. Not enough acid. Don’t do it. I’m planning on canning tomato sauce tomorrow. I just bought a pressure canner specifically for canning sauce so that I don’t have to add lemon juice to it (I have water bath canned it the last two years with lemon juice, but I don’t like the way it changes the flavour). I know it is safe to pressure can without it, but so many websites say to do so, including the link you provided above for processing time in response to someone else’s question. I think it is just to be on the extra safe side–I can’t imagine that you could can beans without acid but you need it for tomatoes…? If you don’t put lemon juice in, does this change the processing time for pressure canning? And should I be putting lemon juice in when pressure canning or is it just recommended to ensure absolute safety? Rosalyn, if you are pressure canning your tomatoes, you do not have to add acid. When you pressure can, acid levels become moot, because you are elevating the temperature of the jars above the point where botulism spores can survive. It is entirely unnecessary at that point. That is what I understood as well, but so many sites I’ve seen (from government agencies, etc.) still recommend lemon juice even if you are pressure canning. So thanks for responding! I wasn’t going to use it anyway, but I just wanted to hear it from someone I know is a canning pro. Thanks very much! OK so last month I canned about 15 pint jars of a made up recipe for sauce. I just kept adding stuff until it tasted like I wanted. I know so many people who said just make your own sauce and do a water bath it’s fine. Well I looked it up in the ball blue book and the ingredients were similar, just not the proportions, I used my garden tomatoes, 1/4 of a medium onion, a large clove of my garden garlic, olive oil (not sure how much, maybe 2-3 tablespoons), a shake of hot sauce, herbs and some port. I saw that you should use 1 Tablspoon of lemon juice so I poured it over the jar when measuring and each jar probably had a splash extra, I figured it’s help make it mare acidy, then processed for the 35 min in the recipe. I thought I’d be ok. Now the first few jars were done about 6 weeks ago and the most recent about 2 weeks ago and looking up new ideas to make my sauce even better and I see this blog. CRAP! I have eaten two of the jars so far and I’m scared about what to do with the rest. My mom suggests dumping it into a stock pot, boil for a long time then freeze, or maybe get a pressure canner and do the same but pressure can it instead of freezing. Will this be safe? I’ve never wanted a pressure canner since I really only can jelly, jams, chutneys and sauerkraut. But I really enjoyed doing the tomato sauce so I’d like to do it again. I really don’t want to have to dump many hours (let alone the cost) but I will if it’s not safe to re-process at this point. I’m just wondering what time frame you have for re-processing like this. I know if something doesn’t seal you should do it in 24 hours, but all the jars are sealed. Glad I read up on this, too! Although I made spagetti sauce this year, I froze the jars! I do that for leftover soup, too. (I have a vacuum sealer adapter for the jars which is probably not necessary). I didn’t even know you couldn’t water bath can spagetti sauce…although I have started canning my own salsa and am glad to hear that I can do the salsa canning in water bath because I’d have been so disappointed! Thanks! You mentioned the use of pressure for canning, one of the comments I read somewhere on this sight said it needs to be 15 psi. I have never heard of that before, I use a vacuume machine that takes the air out. Should I still add lemon juice or acid? A vacuum sealer is not the same as a pressure canner. I’m new 2 canning and started it as I live a healthy/old school lifestyle. I understand all points given, but all in all it makes me laugh when people mention the USDA/FDA regulations. Have u seen what yet deem safe? Fake sweetners/legal opium/mcdonalds?? Why honestly believe anything they say? USDA/FDA actually test all of their recipes over a course of months to see if anything bad grows in the jars. I don’t like all of their policies either but on this one I stick to the recommendations. Jacob, I understand your view. But this is basic science; you really don’t need the USDA at all to understand the conditions that a certain deadly microbe thrives in. Just put the USDA/FDA portion out of your mind so that you don’t throw the baby out with the bathwater. There must be a way to measure the pH of tomatoes. I was just on a Univ. of Wisconsin website the other day that talked about measuring food pH. It may have been http://www.foodsafety.wisc.edu/assets/preservation/uwex_addacidtomatoes.pdf but for some reason my browser is not opening that one today (pdf). What they did say was that pH measurement using paper strips is not accurate enough for values above I think it was 4.0. So in the range of tomatoes you do need to use a pH meter– can your tomatoes, open one can, cool, puree and measure. (from memory– please look it up) They showed different places to buy meters– Edmund Scientific sells one for $35-$40 (plus the buffers) and the others were all much more. Make sure to calibrate your meter above and below the region you are measuring. I just came across this site, and there is so much great information about canning. I am relatively new to canning — just put up my first strawberry and blueberry jams this summer. I experiment with and develop my own recipes, and it would be incredibly helpful for me to know a reliable way to test if my recipe is safe for boiling water method canning (the average home cook is much more likely to have the necessary tools for this method versus pressure canning). Seems like a pH strip would do the trick. If I am pickling items in a solution/brine that is pH 4.6 or lower, can I be confident that it is safe? (Alternatively, would a puree of the item to be canned be the (only?) way to ensure the pH is low enough?). Your input would be so very helpful. I canned up some bread and butter green tomatoes last week. Followed recipe exactly vinegar spice bring to a boil, pour over sliced tomatoes, onions and a few red peppers for color. It was my first experience with canning. I only filled the pot to the bands on the neck of the jars and boiled covered for 15 minutes. Question: Did I make pickles or poison? Can they be reprocessed correctly a week later? If your recipe involved vinegar as the sole or major liquid, your recipe is probably safe. Pickled vegetables in general are safe to water bath – remember that we are striving for acidic conditions. green pickled tomatoes with sliced onion and small amount peppers (color). Followed recipe but only water bathed to neck of jars. Boiled 15 minutes covered dome lid, rolling boil. Can I re-can it has been a week? OR dump out? Did the jars seal? If so, they are probably fine. Because it’s a high acid product, if it does go bad, it won’t spoil in a way that could harm you. It will just go bad. Emilie, the pH of a product doesn’t have any bearing on shelf life. If the pH is 4.6 or under, then it is safe for boiling water bath canning and safe to be stored indefinitely (though for best quality, use within one year). If the pH is above 4.6, it’s not safe to be stored for any length of time on the shelf if it hasn’t been pressure canned. 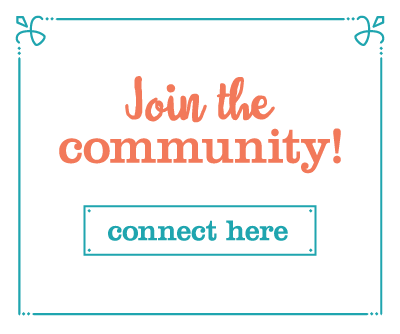 Marisa, I’m a first-time canner, and I’m so glad I found your blog! After an unbearably long, hot, summer, my patio grown roma tomatoes FINALLY started bearing this month! I have a couple pounds of toms that I’d like to can into organic sauce. I’m fine with adding some lemon juice (I had seen it included in a recipe and wondered why), but I have a few questions. 1) Do I add the juice to the recipe or to each jar? 2) I’m canning for myself and my son, and want to use 1/2pt jars. How much lemon juice per 1/2pt jar? 3) Will I need to add sugar to the recipe to compensate for the higher acidity? 4) I found an intriguing recipe on allrecipes.com that includes ricotta cheese. Can I can that? Also, someone who heard I was trying my hand at canning “generously” gave me a large box of overripe pears. Will they be any good as a jam? Any other suggestions for them? I’m looking forward to your advice-my toms are a’ waitin’! 1. You add the lemon juice to each jar (please make sure that you’re using bottled lemon juice because of its consistent acidity. Whole Foods has a couple very good organic brands). Doing it that way ensures that you get the proper amount in each jar. 2. The rule of thumb is 1 tablespoon per pint jar. Three teaspoons equal one tablespoon, so if you plan on canning your tomato sauce in 1/2 pint jars, you use 1 1/2 teaspoons lemon juice per jar. 3. You should be using a tested recipe for your sauce, which will instruct you whether or not to add sugar to compensate. Please do not make up your own sauce recipe, because you will not know if it is safe. 4. DO NOT add ricotta cheese to sauce that you intend on canning. It is not safe to can dairy products and you will end up with an unsafe sauce. I have several pear jam recipes on this site. Please check the recipe page, they’re all listed there. Thanks for the quick reply. I will check out your pear recipes when I’m done here. But I guess I’m back to square one on the tomato sauce. I’m going to weigh my tomatoes, then search your recipes for a sauce that I can reduce the batch size on. Looking at my dinky 1/2pt jars and my strapping teenager, I think I’ll use pint jars for 1 meal serving sizes. Should I just resign myself to freezing a pasta sauce made from this year’s small batch of romas, and know to plant more tomatoes next year, now that I know how resilient they are? I’m definitely going to make your cinnamon pear jam! What are your thoughts on using brown sugar? I think it’s such a great pairing for cinnamon. I made ketchup today using Mrs. Wages mix and canned 5 pints. The mix called for 6lbs of tomatoes, 1 6oz can of tomato paste, 1 cup of vinegar, 1 1/2 cups of sugar and the mix. I boiled the tomatoes as directed, strained them and then added the vinegar and tomato paste and brought to a boil again. I tasted it at this point (without adding the sugar and mix yet) and it was very good! I thought it would make a good tomato soup if I added a little sugar. What do you think? Could I just use the tomatoes, vinegar, tomato paste, and some sugar and then water bath for 40 minutes like the ketchup? What if I added a bag of frozen vegetables- would this throw things off too much? I don’t have a pressure cooker. Deanna, I’m not sure that you can safely can the tomatoes at this juncture. I’m fairly certain that the Mrs. Wages mix contains citric acid to ensure that the tomatoes have a safe acidity level. Without it, it may not be safe for canning. And please do not add frozen vegetables to it, they will lower the acidity level below safe levels. Thank you Marissa. I just dug the package out of the trash and the ingredients are- modified food starch, salt, onion, xanthan gum, cayenne, garlic, spices. Since there is no mention of citric acid do you think the 1 cup of vinegar is replacing that? Deanna, since there’s no citric acid in the packet, you could can the tomato sauce as-is, provided that you don’t add anything extra. Thank you so much! Guess what I will be doing on my day off tomorrow? Good stuff, however disappointing. Recently spent a good deal of time making marinara sauce which I canned. Other than the 1/2 cup of red wine and 6 lbs of tomatoes I don’t think anything else added acidity. Is there a way to test the acidity if I were to crack open one of the jars? I don’t know that litmus paper would work since the color would probably be red regardlessof the acidity 🙂 . Also used a water bath for 25 minutes and we live at about 3000 feet. This was the time recommended for some salsa we made which followed a Ball recipe exactly, however that recipe included 2/3 cup cider vinegar. I am new to canning and had a few questions….why can’t I pressure can my spaghetti sauce recipe and have to use a canning recipe? Can I pressure can my non tomatoe based bean, veggie, turkey, vegetable soup? Can I can my chili which is tomotoe based with italian sausage and ground beef? I am new to canning and had a few questions….why can’t I pressure can my spaghetti sauce recipe and have to use a canning recipe? Can I pressure can my non tomato based bean, veggie, turkey, vegetable soup? Can I can my chili which is tomoto based with italian sausage and ground beef? You can pressure can anything. Whether you want to is a matter of taste. Some stuff goes to mush, but tastes ok – not like fresh though. For tomato sauce go by the pressure canner booklet, choosing the contents with the longest time and highest pressure. I gave up the water bath as soon as I got my pressure canner. The taste and test was canned fish (trout). No longer do I have lemon trout in a jar. I fish and need a way to save my catch for later in the year, other than freezing, or smoking. It turns out like really good tinned salmon (wild of course). Happened on this site by accident. Decent information and cautions for the novice, and reminders for the more experienced (aka old). When in doubt go with what the manufacturers recommend in their handbooks. If you lost them, they are always available on the net, or with a toll free call. Get a pressure cooker/canner that has the capability of 15 lbs, but has the handy 10lbs setting as well. Anything that includes meat must be canned in a pressure canner, not a boiling water bath canner. There’s no way to add enough acid to products that include meat to make them safe. Mike, I can’t judge from an ingredient list whether a recipe is safe for canning or not. So sorry! I’m planning my garden for the spring and what foods I’m wanting to put up and recipes I want to use. I grew up canning with my mom and while we stopped canning in the last 10 years I am planning to take it up again. We always used both water bath or pressure cooker when called for. I have been doing a lot of research about what recipes are safe and that old canning books may not be safe to use anymore. Also, about using untested recipes. My mom and I used to prepare different sauces and not all recipes were tested. However, for those untested recipes she always used the pressure cooker. Unfortunately my mom has now passed on and I am looking for advice. Can I still use our old sauce recipes as long as they are processed in a pressure cooker? What about untested recipes in the pressure cooker? Kelly, if you process your jars in a pressure canner, you can follow nearly any recipe you want, because issues of acid balance go out the window once pressure is applied. The deal is that you either have to inhibit the potential botulism growth with ample acid or you have to kill the botulism spores entirely by raising the temperature up above 240 degrees F.
I am new at this. I have been told that I make a killer spaghetti sauce. The ingredients are onions, garlic, olive oil, salt, pepper, crushed red pepper, dry Italian seasoning, bay leaf, oregano, parsley, sugar, parmesean cheese, can tomato paste, diced tomato, and crushed tomato. Can I can this in a pressure canner or not? I would love to make up a mess of it and put it on the shelf to use but don’t want to kill anybody. Right now I freeze it in bunches but would like to can it if I can. This stuff is so confusing! I hope you’re still answering replies on such an old post. You can’t water can tomato sauce, but how about pressure canning? And how do you know the time and pressure to use? One of your comments on here said it was ok, but other websites say don’t even pressure can tomato sauce. I found a recipe for a basic tomato sauce on Bell’s website, so I would assume that is safe, but you are allowed to add any dried herbs you want. All I’ve read makes it sound like you have to follow recipes exactly, but this one changes from person to person. How do I reconcile all this conflicting information? I made my own sauce but the only fresh item I used was 2T basil. the rest were all canned (paste or dried garlic and onion spices). are they safe to water boil or should I start planning a lot of pasta this week? Jen, if you didn’t follow a tested recipe, the sauce is suspect. And just because you use already-canned products doesn’t mean that they are safe and appropriate for recanning. You told Kelly (Question 137) that if using a pressure canner that the recipe doesn’t matter. Does this mean I can can my own spaghetti sauce recipe? Even if I make it with pre-canned crushed tomatoes and tomato paste. I am so confused at this point that I am ready to give up on this can my own recipe idea. Take back the canner and pretend this never happened. I pressure canned some spaghetti sauce last night with meat in it. Based on my knowledge it should be okay regardless on my recipe because I pressure canned it for 75mins at 10 psi. I allowed my canners to sit over night with out disturbing them, this morning when I opened my canners there was sauce inside floating around on the water. Not a lot but it’s there. My jars are sealed, my sauce looks fine. I’m not sure however what I did that would have caused the sauce to leak out and also I’m worried now if my sauce really is FINE…. sometimes I get too paranoid for my own good about killing family with food. Thanks for reading any feedback would be appreciated. If a procedure from the USDA Complete Guide to Home Canning for canning tomatoes offers both boiling water and pressure canning options, all steps in the preparation (“Procedure”) are still required even if the pressure processing option is chosen. This includes acidification. Caution: Do not increase the proportion of onions, peppers, or mushrooms. I’m wondering if you can give me a link or tell me where I can find information on pressure canning allowing you to use whatever custom spaghetti sauce you want without having to add lemon juice or vinegar for acidification? Beth, in the time since I wrote this post, it seems that the NCHFP has tightened their standards. Since I’m sure there was a reason for the tightening, I’d recommend that you follow the instructions found on their website. I’m new to canning. I wanted to can homemade meals like vegetarian curries, stews, soups, dahls etc. Can I safely pressure can meals like this, which made to my own recipe with the pressure canner. Sonya, I’m not a pressure canning expert, but from what I understand, you can’t just pressure can your own inventions. I’d recommend heading over to the National Center for Home Food Preservation website and reading up on their pressure canning guidelines. Hi Marisa i bought your book and i love it! i made the Tomato Jam, but am now a little concerned about the acidity after reading this long post. is it okay because of the lime juice? Also i cooked it down for about 3 hours, would the lime juice have evaporated along with some of the moisture? i used fresh juice in the first batch, and bottled in the second. this is one of the most delicious recipes i have ever made with our heirloom tomatoes and would hate to dump it! any advice would be appreciated! Are you sitting down people?. Here’s what I did last year. Harvested my garden of tomatoes. A few different heirloom varieties. Cut out bad spots, threw them in my vitamix, skins, seeds, everything. Boiled on stove for a couple of hours till reduced about a third. Boiled my jars and tops for two minutes, put the sauce in the jars, put on the tops, tightened them. Left on counter to make sure the tops popped down. Put on shelf in basement. I put away 17 quarts, we have eaten all but four. I am here and healthy to tell the tail. I will say though, the hubby and I are processing some right now and they are going in a water bath. Ignorance is bliss, that water bath stuff is a pain. I mean tale. Oh BTW I keep my eggs on the counter too. I have to admit I’m a little confused too. My question is similar to a few of these, can I make spaghetti sauce using canned tomatoes, tomatoes sauce, peppers, garlic and Italian seasonings and can it using a water bath? If I do this would I have to add lemon juice or citric acid and which should I use to least alter the flavor of the sauce? Thank you so much! My family and I have canned tomatoes and sauces for years with 100% success . Peel and core tomatoes, quarter etc and in 22 qt pot cook with 1 tsp salt per qt of tomatoes, bring to big boil and cook for 10 min. Put jars and lids in dishwasher at hottest cycle. Fill and seal right out boiling pot. No water bath required. Remember you are going to bring this back to boil when adding to Chili-Pasta-soups etc. I want to can my homemade spaghetti sauce but want to use canned tomatoes and tomato sauce instead of fresh tomatoes, can I do that or will they spoil because of not using fresh tomatoes? You can do it, but you still need to follow a recipe that’s been designed for boiling water bath canning. I make tomato sauce and seal it in pint jars. Cook the cut up tomatoes and ingrediants in the oven in a roaster pan at 375 degrees for 3 hours. Run the mixture through my blender. Put the blended mixture in my stainless steel pot with the top on, and heat it up to the boiling point on the stove top. I put my pint jars in my kitchen sink with the stoper in in the drain. Pour a huge pot of boiling water over the jars so the jars are up to the brim in hot water. take a jar out with a pair of tongs, and pour some of the hot water over my jar seal. Empty the rest of the of water back into the sink. Ladel the hot mixture of tomato sauce in a pint jar until it’s almost full. Slap on the seal lid that I just pour hot water over then put on the ring and tighten it down as tight as I can get it. Let my hot jars cool slowiy covered in with bath towels. Later tighten the rings on the jars a bit more. No hot water bath for the filled jars, and I’ve eaten my sauce that’s over a year old and not a single jar was spoiled. This is not a safe technique. The lime juice elevates the acidity and makes this recipe safe for boiling water bath canning. What’s more, there are no ingredients added to the tomato jam that lower its acidity and acid levels don’t decrease radically due to cooking. Yes, you’re evaporating out the moisture, but the acid remains. You can ,can your homemade sauce, minus meat, that’s only done is a pressure canner, if you raise the acidity level. You do this by adding 1 teasp of Lemon or Lime juice to each pint, or 2 teasp. to each quart. in regards to the pH – pH scale runs from 1 to 14. Low pH is acidic, which is below 7. pH 7 is considered neutral. pH greater than 7 is alkaline or basic. When you make spaghetti sauce, one typically adds a slew of ingredients that, while delicious, RAISES the pH seriously unsafe levels. Susan, we’re actually both right. When you lower the acid levels, you’re also raising the pH level. It can be said both ways. Hi again, So I ventured into the canning world and bought my first Bernardine Starter Kit! Now I am of Italian heritage and I remember all of my relatives lining up their tomatoes down the driveways and garages every September but alas I was too young to help or remember. All of the aunts and my grandmother got together and made a weekend of it. I don’t remember them including garlic, but I do remember eating canned tomatoes as the base for the sugo (sauce) all winter long. They put basil leave in there. Is this safe? I want to do the traditional way of adding salt, tomatoes, basil, but would I also need to put in lemon juice or vinegar to make the pH level safe? I also have some Serrano peppers, ONE Ghost pepper and 5 habanero and wanted to make a killer (not botulism!) hot sauce. I have learned from reading up on canning and safety that I sadly cannot make an infused hot pepper olive oil and we would not use it quick enough in our family to even justify making it for the refrigerator. I can’t find a recipe for this and I really only want to make one small jar that came with the canning kit. Do you have any suggestions on the hot pepper sauce? Also, since you’ve been doing this for quite a while and know what you can adjust and cannot, are there any suggestions you can send this way to a newbie? Thanks, and your site is fantastic! Is it possible to test the ph of a sauce at home? Jill, in order to make the sauce safe for boiling water bath canning, you must add either lemon juice or citric acid. It does make the sauce marginally more tart, but it doesn’t alter it that vastly. But it’s the only way to make it safely shelf stable, so we do what we must. More about lemon juice amounts can be found at the National Center for Home Food Preservation. If your sauce is entirely plain, you add two tablespoons per quart (or one tablespoon per pint). For more doctored sauces, you’ll need more. Here’s my basic marinara sauce. I just made 10 pints of pasta sauce, I did them in a pressure cooker for 60 minuted around 12 pounds. The reason for 60 minutes i use salt pork for flavor. When cooking the batch from start i use a package of salt pork. Cooked the batch for about 3 hours. Then i pull out the salt pork i cut them in about 1 inch squares. added i small square to each jar. the flavor was so good. i added the lemon. that killed the the sauce. i just added small teaspoon to each jar. pressure cooked for 60 minutes. all ten jars looked real good. opened one week lated it sucked from that small amount of lemon. Don’t used it. pressure cook it for 60 minutes pints, 75 minutes quarts. with out lemon. I would never recommend a water bath canning method for any tomato product, ever. Your grandma and the elderly lady across the street will tell you that “she’s done it her whole life” but now that we’re more knowledgeable about food safety we understand the importance of doing it safer. If you don’t have a pressure canner, please consider freezing your sauce. Laurel, as long as you acidify your tomatoes and follow a tested recipe, they are safe for boiling water bath canning. I use pH strips to measure the pH of all the recipes that I can in a water bath. Its comforting (for a sciency type like myself) to KNOW that the pH is less than 4.5. The issue is with the new hybridized tomatoes, they have been engineered to be less acidic. I suspect that was for people with dietary sensitivities and allergies. Most of the old-time varieties are high in acid. Just like the modern pig has significantly less fat over the old-time breeds. Tastes (like fashions) change over the years and people what less fat and acid in the food we eat. The answer to the modern less acidic tomato is to bump-up the acidic levels with either lemon juice (imparts some flavor), vinegar (imparts some flavor), or citric acid (imparts no flavor). Roger, i must fully disagree with your statement “citric acid imparts no flavor”. I used Ball citric acid with last years sauce. The sauce tastes like sour patch kids. I contacted Ball several times about this and they have NEVER sent a reply. So much for customer service at Jarden Brands/Ball. However I found a recipe on Ball’s Freshpreserving.com (http://www.freshpreserving.com/recipe.aspx?r=45) which calls for Olive Oil, so I’m a bit confused. I am getting ready to can my salsa. it has black and green olives plus all the peppers etc.. That you’d normally find. I also load it up with vinegar, lime juice and lemon juice and salt. I also pressure can for 20min. I live at 3500 ft. After reading this article now I’m nervous that I should freeze my salsa or should I just put an extra tablespoon of lemon juice in each jar? I water-canned spaghetti sauce and Mexican-style stewed tomatoes about 3-4 weeks ago but just read this article warning about acidity levels today. I used Roma tomatoes in both. I boiled both for about 30 minutes before putting them in jars and boiling water bath for 40 minutes. The spaghetti sauce only had dried spices but the stewed tomatoes included celery. Would it work to un-jar the sauces and re-can, adding the lemon juice or should I throw it all away to be safe? I just finished processing a batch of tomatoes and realized that I *completely* forgot to add any lemon juice!!! Can I pop the seals, add the acid, and reprocess? Or do I need to throw all this tomato sauce in the freezer? If the tomatoes are still hot, you could open the jars, add lemon juice, apply new lids and reprocess. Just know that the tomatoes are going to be really soft. If they’re no longer hot, I’d suggest freezing them. I just did the same thing last night in a boiling water canner, and my jars are now cold. However, I do also have a pressure canner. If I reprocess the cold jars in the pressure canner, would they then be safe for shelf storage? if so, can you suggest a processing time? Unfortunately, I just can’t advise on this sort of thing. Hello. I plan on making a chicken broth based soup with a pepper, chicken, and pre-canned fire roasted tomatoes. Can I use a pressure canner to put up? I’m new to canning. I would like to can my mothers Spagetti Sauce Recipe. Her recipe that I have is from canned tomato sauce and what not….and no fresh tomatoes. How can I go about canning this. Do I have to add anything special to it? Any advice would help. Julie, did you read this post? You can’t just can your own recipe. You can only can a recipe that’s been tested for boiling water bath canning. I have not canned in the past 20+ years, and was recently given a pressure cooker by a fellow missionary. Tomatoes are seasonal, and I missed the season. Would like to find a recipe for spaghetti and pizza sauce using canned tomato sauce. Where might I look? I’ve been trying this morning to do find one and can’t. No libraries/ bookstores. I live in rural Haiti. We have a solar-powered chest freezer and find we need to make room for other things, so want to can whatever is possible. Thanks for any suggestions – would pressure cook it as would use hamburger and sausage (both made from fresh meat sold in the outdoor market!). I love the convenience of having sauce all made both for spaghetti and pizza, I can tons of other stuff too so I use a pressure canner and follow the instuctions from the USDA home canning guide 3, the only thing I change is we don’t like green peppers in the sauce so I omit them. This is a basic sauce that can be added to when opened with whatever you want. Usually I add more spices, and wine. “Putting food by” also has a basic recipe that I have used many times, it is almost exactly like the USDA one. So if you really want Tomato sauce a pressure canner is the only way to go! So I can’t use my own tomato sauce recipe for canning and have it be shelf stable, but can I keep it in the fridge? I use canned tomatoes which have had citric acid added to them, and I can add more citric acid or lemon juice. If I make a small batch (3 pts), could the sauce keep a few weeks on the fridge? You can totally keep it in the fridge for a few days. For longer storage, I recommend freezing it. The presence of lemon juice or citric acid isn’t going to prevent mold when your sauce is stored in the fridge for a long period of time. I made fresh tomato basil sauce yesterday. I have 2 pint mason jars leftover. The comments indicate that I can freeze it but do I need to get air bubbles out first? And about how long will it stay good in the freezer? Thanks! You don’t have to worry much about the air bubbles if you’re freezing the sauce. That is something you need to do when you’re dealing with the boiling water bath process. Make sure to use straight sided jars and leave one full inch of headspace to account for expansion. They’ll be good for about 6 months in the freezer. I didn’t spend the time reading all 200+ comments so this might be a repeat question: pressure cooker canning CAN be used when canning spaghetti sauces,correct? Yes, you can use a pressure canner when preserving your own sauces. It is still important to follow basic recipe guidelines, though. Please don’t take this as a personal affront, it is not meant that way. I always find it interesting when someone says, ‘I haven’t read all the response, but…”, or simply bold face ask the same question that’s been answered dozens of times. Why do I find it interesting, well because in order to FIND your question and answer it, someone must read ALL of the responses, at least up to yours. So basically what that says is, I am far too important and my time far more valuable than yours to be bothered. So I will simply state what I want and you will give it to me. Please and thank you. Nice. Slam me if you all want, but I read all the responses, and have no questions as they have been answered multiple times. Please do not encourage such behavior by responding with the answer, simply state you will find it above, like everyone else. Stop the madness. If you don’t have the time to research anything, just buy it at the store. It’s best not to make substitutions in acid sources in recipes. I don’t know what kind of impact that switch would have on flavor and shelf life, because I’ve not tried it. I’m new to canning and would like to can a couple of my tomato-based recipes. However, I use tomato soup and spices in my spaghetti sauce, not whole tomatoes, no oil, etc. Can I still can it? I want to make & can my homemade spaghetti sauce which consist of 1/2 chopped onion, two chopped garlic gloves, 1 – 28 oz., can tomato sauce, one – 28 oz. Can tomato puree, one – 12 oz. can tomato paste , 1/2 cup olive oil, 2 tblsp dried parsley, 1 tsp. Each of dried basil, oregano, 2 tsp. Salt and 1 tsp. Pepper. This makes a gallon of sauce. Can I can in quart jars by adding two tbsp of lemon juice to each jar and put in a water bath? Live at elevation of 6,100 ft. So was thinking of boiling for an hour. Can I do this and be safe! My neighbors and I, all Italian, have been canning tomato sauce FOR YEARS. WE DONT USE LEMON JIUCE when jarring, it’s not necessary! This article is insane. And I really don’t appreciate you calling my writing insane. This response is incredibly rude. The safety guidelines have changed over time as better testing methods have become available to ensure the long term safety of preserved foods. 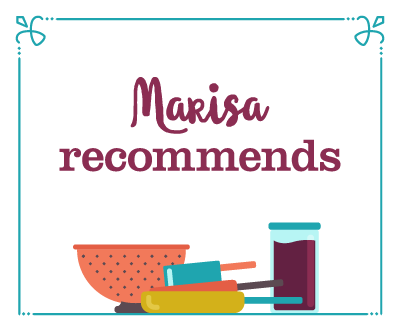 Marisa would be remiss if she advocated canning tomatoes without added lemon juice – in fact, she could be held liable if someone got sick following her advice. If you choose to take on the risk of canning tomato sauce without added acid, that is your choice, though not one I believe is particularly smart. Back in ‘the day’ when everybody did everything right, didn’t they only live until a ripe old age of 45-50? I don’t know about crazy and insane, but I do know that if a tsp of lemon juice might keep me from dying of botulism poisoning, by golly I am gonna add some lemon juice. That simply means that you’ve gotten lucky. I’m sorry, but I cannot find the information I am looking for about my homemade pasta sauce. Everything says to use a recipe that has already been tried and tested for canning. But I want to can my own recipe for pasta sauce. I know that it will not have enough acid, and has a good amount of olive oil in it. I know that I cannot be canned using a water bath, but I don’t know how long it needs to be processed using the pressure canning method. Do you have any advice? Ok, I’ve read a great deal of your comments and I think I have the answer to my question. However, I’m still a little unsure. My question is, Can I can my original recipes if I can using a pressure canner. I saw your responses in regards to canning the traditional way but I am interested in canning jams, and sauces that I make at home. I would appreciate any response regarding this matter. I do not want to accidentally get anyone sick. I have been canning tomatoes for over 29 years and yes I make my own sauces and can it as well as salsa and stewed tomatoes and I do not use a pressure canner. I do use the water bath method and add a teaspoon of salt per jar. I make sure my sauces or whatever I am canning is boiling and I pack them into hot sterilized jars and process them for 45 minutes for sauce, 35 for salsa and stewed tomatoes, green tomatoes I only process for 15. I also can fruit, jellies as well as applesauce and apple butter the same way only difference is I add fruit fresh ( not for jams) but still in a hot water bath not a pressure canner. The only time I have used a pressure canner is for processing deer meat. How much vinegar is necessary to safely hot water bath tomato chili sauce with green peppers, and onions? Yesterday I followed a recipe for canning a spaghetti sauce and did not do the hot water bath method. I followed the ‘using hot sterile jars, lids, etc’. and simmered my sauce for about 5 hours. I did add 2 tbls. lemon juice to each jar before adding the sauce. The jars all sealed after assembly so I felt they were safe to store. Then my hubby mentioned this article and I’m stressing. I just put them together last night so would it be safe now to unseal them and put them in freezer containers for the freezer? Would I need to heat it again first to be safe? I’m wondering what the best ‘save’ would be for it at this point. Thank you! I’d suggest opening the jars, bringing the sauce to a boil to kill off any bacteria, and then packaging it for the freezer. My mom never used lemon juice. & she kept the mayo in the cabinet with the mustard & ketchup. We always cut the mold off the cheese though. The reason to add it directly to the jars is that you ensure that you’re going to get the exact right amount of acid into each portion of sauce. I might add an additional portion to just to ensure safety. I have been canning tomatoes for over 25 years. I never add lemon juice. Tomatoes are already acidic. I don’t process in a canner either. All you have to do is skin the tomatoes, cup up if desired, and bring them to a rolling bowl. Ladle them into jars which have been boiled for 5 minutes and are sitting in the water. Add 1 teaspoon salt, wipe the rims, and seal with lids and rings which have been boiled for 2 minutes and sitting in the water. Turn jars upside down for 30 minutes, flip over, and check for sealing. I have never had a spoiled jar! Mike, it doesn’t matter that you haven’t had a spoiled jar. Your technique is still outside of the recommended methods and is not safe. Actually, my friend who lives in Ohio and has to be inspected and has a USDA inspected kitchen and has submit her recipes for state approval was told by the state inspector that as long as her salsa is 4.0 or lower all she has to do is invert the jars for 30 minutes. No water bathing necessary. She sells to the public – not just her personal canning and this method is approved by the state. Oh, and she is in her 70’s and her mother who canned before her lived to her 90’s. Both of my grandmother’s lived to their 90’s and my parent’s who lived off of their canning endeavors are both in their late 70’s. Not sure why people think people only lived to 50. And people who did did not die from eating canned goods made at home I can be fairly certain of that. Just so you know, there are different standards for home and commercial production. What causes tomatoes and/or sauce to rise up in the jar after processing? I have a half-inch to an inch of water in the bottom of my jars after my tomatoes have been processed. I put my tomatoes through a Squeezo and processed the sauce. Earlier this week I canned 90 pints of salsa with only 1/3 cup of vinegar per 8 cups of tomatoes, however I add more/less onions, green peppers etc (never measuring exactly). Now I fear it is not safe. This is a recipe I’ve used for years. For less worry can I reopen after having set for a week, boil again, add the acidic acid to each jar and put back in a water bath for canning? Correction to previous comment: My recipe calls for 8 cups of tomatoes used with 1/2 cup vinegar plus onions etc. I just came across your posting. I have been canning my family sauce of tomatoes, garlic, s&p and basil for years. I have done a water bath boil for 20 minutes and never had a bad jar yet. I learned from someone who has been doing it for 40 years this way. I am stumped and nervous now. Garlic is a very low acid food and so I would skip it. You can add a very small amount of basil or thyme. I don’t get it. I, my mother-in-law, grandmother, daughter-in-law and many other relatives and friends have been canning everything, especially tomato sauce, for ever 35 years now and have never had a problem. I use a water bath canner too. Would Vinegar or Lime juice work if you don’t have Lemon juice? You can use lime juice, but vinegar isn’t not an appropriate swap. It doesn’t have the same acid concentration as lemon or lime juice. I was wanting to can homemade spaghetti sauce, will I need to add lime/lemon to my recipe if I am going to use the pressure canning method? I’ve been canning tomatoes and spaghetti sauce and marinara for over 20 years. You use vinegar. Look up Ball Canning. In a boiling hot water bath that is, processing according to Ball’s directions. If you follow a tested recipe, it’s okay. You just can’t invent your own recipe. Pete, this post doesn’t apply to you because you’re using a pressure canner. This post is talking about why you can’t water bath can your sauce. I pressure canned my family recipe spaghetti sauce and half of the jars sealed, half did not. These were all from the same batch in the canner. Any thoughts? It could be that you opened the canner too soon, or that you didn’t tighten the rings tightly enough before you put the jars in the canner. You have to tighten much tighter for pressure canning than for water bath canning. I am a newbie so I appreciate your advice on this one; we have an old garlic sauce recipe handed down through many upon many generations of our family. We mainly use it for pasta dishes although it can used for other dishes. Its all fresh made ingredients Not Cooked; Basil – Garlic – Extra Virgin Olive Oil – and special family secret spices – and of course Tomatoes, although the tomatoes are canned tomatoes (changed to canned in the past couple generations as apposed to fresh picked).. If we wanted to jar them up for resale do they still need the added lemon juice or citric acid added? Thanks for you advice in advance – love your page / E.F. Unfortunately, I cannot advise on commercial production, because the regulations vary widely depending on your location. You’ll need to reach out to your local health department to determine what’s allowable for sale in your region. Marisa – Thank you for your quick reply, but just as a mater of safety, lets take the equation out of resale, because the reality is “if” I was to do this it would be so very low key; small town country gatherings. In so taking that out of the equation and taking the real concerns, “safety” for my families and friends; when they visit we always give them some to take back home with them in jars for future diners for themselves and we have always told them in the past that since there is nothing cooked and the tomatoes come from store bought caned, and fresh extra virgin olive oil, etc. that they should be alright concerning the safety of disease yes? So again under “Those” values could you, would you give me your viewpoint on its safety? Thank you again in advance for your advice… E.F. I really can’t advise on anything that it outside the bounds of boiling water bath canning. I can’t begin to speculate on how this uncooked sauce will behave. If kept refrigerated the whole time, it’s probably fine, but there are no guarantees. I don’t have a pressure canner. My marinara recipe does have 4 cups wine (per 17 cups tomato)…is that enough wine to qualify for a water bath? Thank you~! What else does the sauce contain? If it has meat in it, there’s no way to preserve it without a pressure canner. Thoughts on ratio of wine to tomato? Will it be safe without pressure canner? As long as you’re keeping the amount of low acid ingredients in check, it is safe to can tomato sauce without a pressure canner. I can’t tell you how much wine is necessary for proper acidification, though. Here’s the NCHFP’s recipe. It’s a good starting place. Did you mean to include a link? Thank you so much! seal, or one that spoiled. What if I start with store canned tomato sauce and make spaghetti sauce. Can I water bath it? Nope. You still need to follow a tested recipe. I have no idea! That’s kind of strange. It’s something in the beans reacting with the aluminum canner. You had some siphoning so the canner water turned color, but I’ve had that happen too when I blanched beans for freezing (we don’t like canned green beans) only 3 minutes in a stainless steel pot but with an aluminum steamer basket. Why can you not use your own recipe to can a sauce? What does a “tested” recipe do that is different? TEST IT’S PH LEVEL? SO WHY CAN”T THAT LADY CAN HER OWN SAUCE, IF SHE TESTS HER PH LEVEL? Karen, most people aren’t willing to take that step. ANNNNND this is why I use a pressure canner for sauces. Tastes better than dumping a bunch of lemon juice in it, and frankly less hassle than my WBC. I roast my tomatoes every year with garlic, onions, celery and peppers at a 350 degree oven until all veggies are almost charred for a real robust flavor. I run them thru my food mill, then add my fresh herbs and simmer for hours until sauce is thick. Then process them in a water bath with 2 tablespoons of lemon juice per quart. I never notice the lemon flavor when used later; and I’ve never over the past 7 years have gotten ill. Maybe because the high temp roasting and long hours simmering down kills the botulism spores. Either that or I’ve just gotten real darn lucky!! 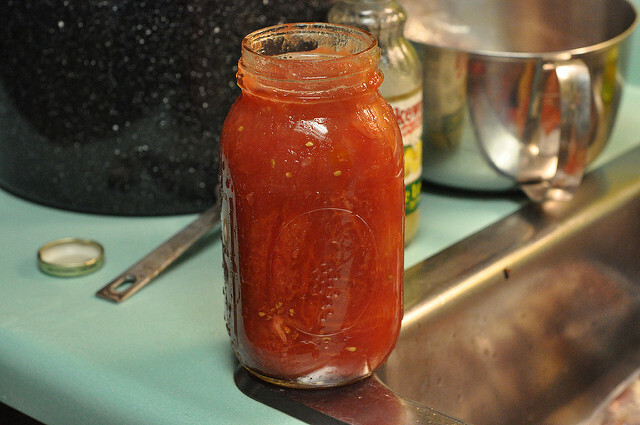 Happy canning….ugh, I really hate this time of year; but really happy to open a great jar of sauce in the winter. I would increase the amount of lemon juice you use, because you’ve got an awful lot of low acid vegetables going on in that sauce. I canned tomatoes sauce tonight. My jars sealed, but I did not use lemon juice. Could I open the jars up tomorrow and redo, or should I just freeze it? You could open the jars tomorrow, reheat the sauce, add the lemon juice to the jars, and recan them. Could I put new lids on and use a pressure cooker? However you reprocess, you need the contents of the jars to be hot when they go into the canner. Preparing the jars for reprocessing is going to be the same no matter what processing method you use. IF the issue with water bath canning tomatoe sauce is the pH can we test the pH and add enough citric acid to get the pH <4.5 and then use the water bath. I know you keep saying meat sauces need to be pressure canned, but I can't figure out why if you can get the pH of the sauce <4.5, or when you add the meat is there more than just the pH issue? From what I understand, in regards to meat, it’s the fat content, not the ph level. From what I understand,the fat in the meat can protect spores. At least partly this would be because they exclude water (hydrophobic) and thus wouldn’t be affected by the pH unless it was far more acidic than you’ll get with citirc acid. (btw, this water exclusion is essentially the reason why microwaving meat won’t protect you either). My great grandmother water bath canned all her stuff she didn’t have a pressure cooker and we ate everything she made. So I got her recipes and I follow them to the letter I have never had anything go bad or make anyone sick. Food science has come a long way since your grandmother’s time. I would suggest updating your practices. Also our food is different than your grandmothers. Her tomatoes were more acidic. A pressure cooker should not be used for canning. Think you mean a pressure canner. There are pressure cooker-canners available also, but a pressure cooker alone is not made for canning. I happen to have both cooker and canner and use both, but I found it depends what you are canning. Meat products only use the canner. If I’m canning a few pints of something like my plums or peaches Im not afraid to use the cooker, never had a problem. most people use canners or cookers know how to use them but dont really understand them. cook approximately four hours adding water occasional ……. I need to know now if I can pressure cook this safely? I would suggest that you contact your County Extension office for research-based information regarding this topic. They will be able to provide you with scientific, research based information so you can preserve food safely. I would not suggest doing so because of the olive oil. You can put it in jars or plastic( I would personally use jars Mayo or miracle whip plastic jars or any similar jars or canning jars) and freeze it. Hi Marisa. Going back to Eileen’s question from September, could you just add citric acid to your favorite sauce and measure the PH level until you get below 4.5 and then can in a water bath? Thanks so much. It’s not a recommended technique, but if you were willing to live a bit dangerously, you could. You’d probably want it to measure closer to 4.2 or 4.3, just to give yourself a slightly larger margin of error. And if the sauce contained meat, it would not be advised, no matter how low a pH you were able to achieve in the surround sauce. Too bad when the family recipe originated from Italy a couple hundred years ago…adding a bunch of red wine, citrus or lemon juice is not desirable. Does the pH requirement stay the same even if you add meat? And I assume the added meat would also lower the acidic value so you’d have to make even more adjustments to get that back up to 4.5. Am I correct? It is not advised to process sauce containing any kind of meat in a boiling water bath canner. For that, you MUST use a pressure canner. Unless you have a pressure canner, everything needs to go into the refrigerator as soon as it is cool. There’s no way to make low acid sauces shelf stable without a pressure canner. There are two wonderful tomato pasta sauce recipes created with canning in mind in the better homes and gardens’ canning magazine from this summer. Both require the tablespoon per pint of lemon, and are a bit on the tart side, but have some lovely flavors of basil and roasted garlic, and are just waiting for added cheese or meat when heated and served. I sure hope they were tested because I have 30 or more pints heading out the door this Christmas! So not for canning, but What about for short term storage? 2-3 days. And for freezing. My husband cans his sauce and it turns out fine. But of course he makes huge batches, uses red wine and cooks it for what seems to be forever! I can’t say what his secret is because I’m not allowed in the kitchen, and I’m not allowed to touch the sauce…That’s what I get for marrying an Italian. There is actually a great deal of trouble with that. Meat is low in acid and botulism spores require temperatures of 240F to be killed. There is no safe way to process meat in jars without a pressure canner. Hi I am just wondering whether once the batch of sauce (does contain lots of white wine vinegar, tomatoes and has been preserved properly) has been refridgerated can it then be stored elsewhere or does it need to be pressure canned/heat treated again/ remain in the fridge or freezer until consumed? I wasnt sure at the time of making it and didnt want it to spoil so i put it into the jars and into the fridge, its keeping well but it would be better to have my fridge space back! Any hints you may have are greatly appreciated, even for next time i will remember to just heat treat and then store not in the fridge perhaps. I have a similar issue. I make a lot of sauces that I’d like to make in larger quantities and can for my big family. (Alfredo sauces, vegetable sauces, Asian brown sugar and soy sauce sauces, etc). Csn I water bath can these, or pressure can them? How long would I need to? Unfortunately, most of the sauces you listed are not safe for canning. It’s simpler and tastier to just make a nice thick tomato sauce (tomatoes only) and add one generous tablespoon of lemon juice to each quart jar and water bath can it. Then, make your spaghetti sauce from that, fresh, when you need it. Tastes much better. Water bath canning spaghetti or pasta sauce, or any other sauce using tomatoes WITH A MULTITUDE OF OTHER INGREDIENTS, and trying to manipulate the Ph is not safe. Pressure canning spaghetti or pasta sauce, or any other sauce using tomatoes WITH A MULTITUDE OF OTHER INGREDIENTS, while safe, changes the flavor. I’ve found it best to simply make plain tomato sauce and use that in the family recipe when you need it instead of trying to can the family recipe. Keep it simple people, and keep your awesome family recipes intact and awesome. You actually need two tablespoons of lemon juice per quart of product. You are right… my bad. I say “generous” tablespoon because I slosh it over a lot. But, two measured tablespoons is correct. Sorry. Hi, I have been canning for several years and every summer I make a tomato basil sauce from the Blue Ball Book. This year in just one of my batches the oil separated after the hot water bath. (The recipe calls for one TBS of olive oil.) It is possible I used a generous TBS of olive oil, but otherwise I am not sure why this happened. I was wondering if you had any insight and most of all, is this safe? 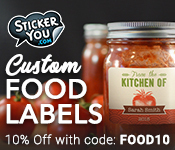 Can you re-jar pasta sauce that is store bought? I’ve been trying to find information on this with no luck. I always end up wasting store bought pasta sauce because it doesn’t get eaten before going bad. I’m wondering if I can buy a large jar and then re-jar into the smaller ones. It’s really not recommended that you recan store bought sauce. If you have sauce that you can’t use up fast enough, it’s better to freeze it. I make my sauce from no. ten can’s of paste and sauce ,so is this considered recanning ? and something I shouldn’t do ? I do use a pressure canner. I have done this for years. I’ve used freezer bags or canning jars ,smaller amounts I use for pizza and others I add to stuff. freeze it leaving head room for expansion. Could you substitute 2 Tspns of red wine vinegar per quart instead of lemon juice? No. Red wine vinegar doesn’t have the same concentration of acid that lemon juice does. May I make a reply here? I have a recipe that my aunt and the lady from our local extension office helped me with several, several years ago. She knew that my recipe had oil in it. It makes 12-13 quarts and has 2 cups of oil in the whole recipe. I add 1 tbsp lemon juice to each jar (not important to what I am saying, but just in case someone mentions it, and yes that is the amount the lady from the NC State Extension Office told me to use). I just ran up on this website and now a couple more that all say do not use oil to can with. I’m honestly not sure why. Is the difference in the way you can your sauce? Most recipes I see call for a water bath, but I have always canned mine at 12 pounds of pressure for 10 minutes (per the instructions from our local extension office lady.) I am canned my spaghetti sauce this way for years without any trouble, and to now see that someone is saying we are not suppose to use oil has just floored me. I forgot to add something. Even the recipe from the National Center for Home Food Preservation, http://nchfp.uga.edu/publications/uga/uga_can_tom.pdf, has a tomato sauce recipe that makes 9 pints and it has a 1/4 cup of vegetable oil in it. And that should have read, spaghetti sauce recipe…. I never canned before last week and never knew of the dangers of canning your own tomato sauce. I canned 12 jars last week and put in cool basement I did a water bath not adding any lemon juice or wine vinegar. Should I throw out the entire batch or can I take it out of the jars and freeze it or re-can it with lemon juice in each jar or is one week too long? You could open up the jars, bring the sauce back up to a boil, and reprocess appropriately. I have a similar situation, my mother in law canned my tiny tomatoes that were roasted with peppers, onions, garlic and olive oil. She cleaned the jars in the dishwasher and the sanitize setting. She boiled them for 35 minutes. All the jars “popped”. They have been stored in the pantry. It’s been warm for the couple of weeks they have been stored, up to 80 degrees in the house. If there was no boiling of the jars and no lemon juice added, what should I do with them? They’re probably not the safest thing. I just made tomato sauce and salsa last night with one of the recipes on line. I boiled my my jars and put the sauces in the jar but for got to do a water bath. Is it still safe to use this boil it again and the jars and than do a water bath. I never add meat to my canning sauces, and I start with 25 lbs of fresh frozen garden grown tomatoes from our yard,I add carrots onion basil thyme marjoram oregano rosemary sage and savory 1quart of olive oil 2 cups of organic cane sugar 1 cup of lemon juice 8 bay leaves and cook it down like my grandmothers did 24 to 30 hours on low heat stirring the pot about every 3 hrs, Its a long process but it is worth it in the end the sauce is dark red almost rust coloured and has a nice sheen on top when stirred. The sauce you’ve described is not safe for canning in a boiling water bath canner. You don’t need electricity to can safely. And there were many instances of food poisoning in the past. The recommendations contained in this post are not opinions, they are science. Is it safe to assume a lobster sauce is not safe?? My Aunt and Uncle were hospitalized 2.5 years ago with botulism. They were both in their mid 80’s and ultimately my Aunt wound up passing away. The CDC had to test everything in their kitchen to discover the cause. It turned out to be her jarred tomato sauce that she had been making and jarring annually for 60+ years. Seeing it firsthand we now know how important it is to follow food safety guidelines. My family doesn’t currently jar our sauce anymore, but have been working towards figuring out how to do it safely so we can keep the tradition alive for future generations. So, I just made and water canned marinara sauce which included olive oil,carrots, 0nion, garlic, herbs, Roma tomatoes… I boiled in a water bath 45 min following a recipe on the internet yesterday and refrigerated after cooling after I found out you aren’t supposed to can sauces. What can I do if anything to re-can for gifts or at least to save for self use, such as freezing? Because it’s delicious. You can’t can a sauce like that without a pressure canner. You could transfer it into freezer-safe containers and freeze it, though. Being 75, let me say that the pioneers canned everything and there was no such thing as a pressure canner. I canned green beans, tomato sauces and ketchup, pickles, corn…LOTS of things with no pressure canner. First you shouldn’t do it if you don’t know what you are doing. You should be able to tell if the item has a good seal and also if the seal breaks. It’s like saying, if you don’t wash your hands you will get sick. No, you might! What are the odds? We know a lot more about food safety than the pioneers did. Additionally, many of them died of unknown illnesses. Why put yourself at risk when we have such deeper understanding of the science of food safety now. To can green beans and corn (low acid foods) without additional acid or a pressure canner is gambling with your health. Why take that risk?